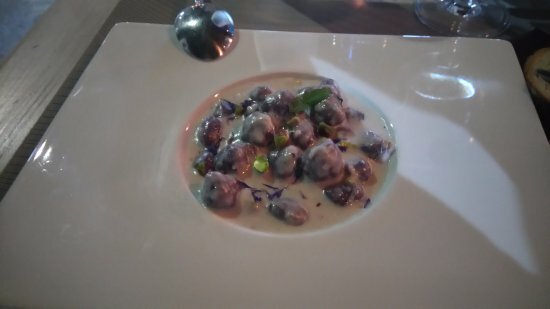 Both vegetable and chicken soups were watery and messy though had some flavour. 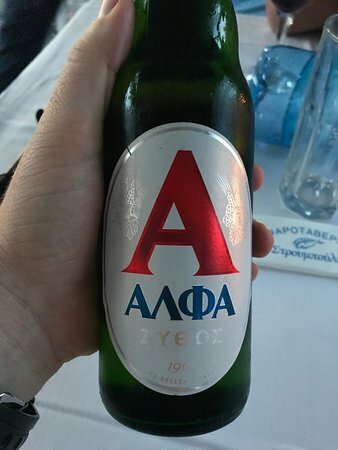 Didn&apos;t have more than one make of gin which was disappointing. 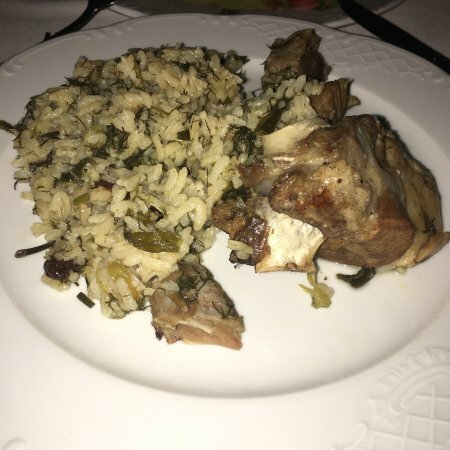 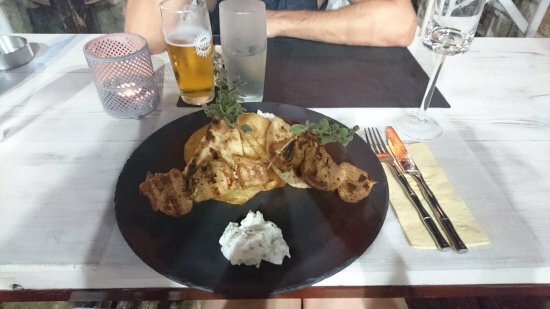 Chicken dish was a bit bland though generously portioned. 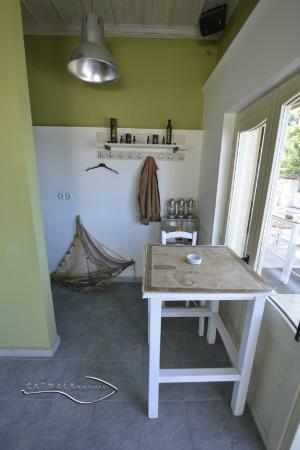 Didn&apos;t like the sight of the exposed kitchen. 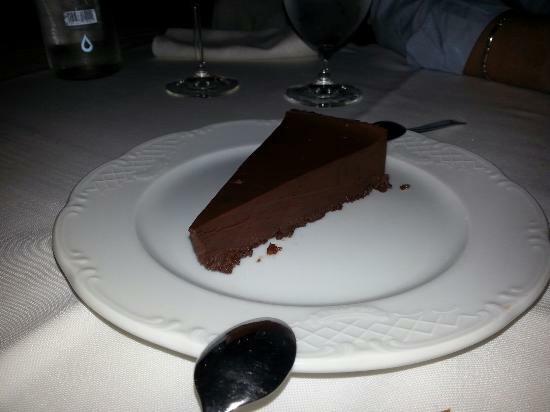 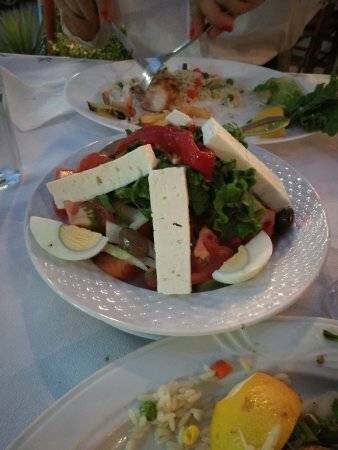 At least the waiters were friendly and attentive. 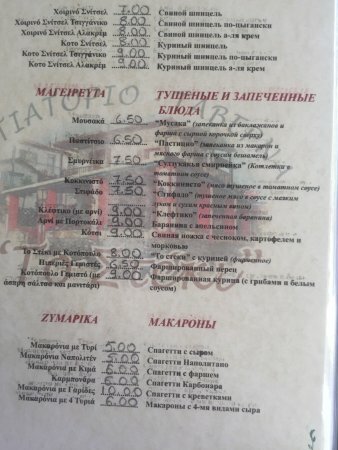 Half the menu was unavailable (including the only two items i really wanted), the coffee machine was broken (or cleaned down and turned off? 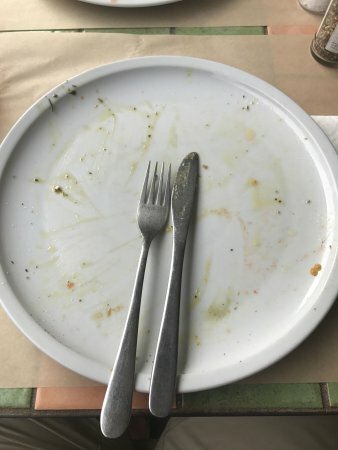 We&apos;ll never know! 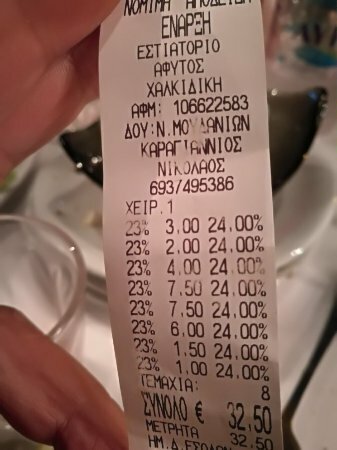 ), can i have a metaxa i asked? 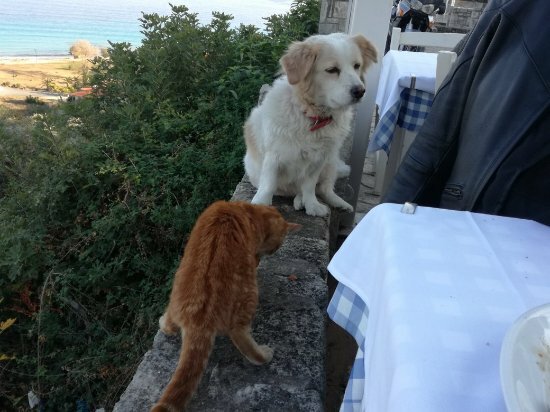 No, we are out the response. 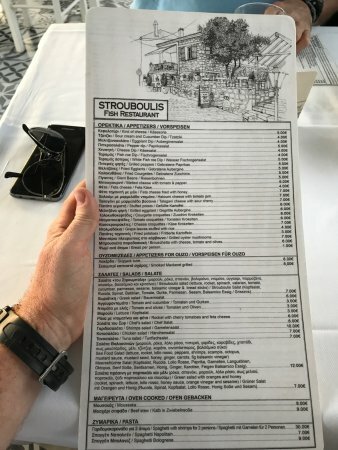 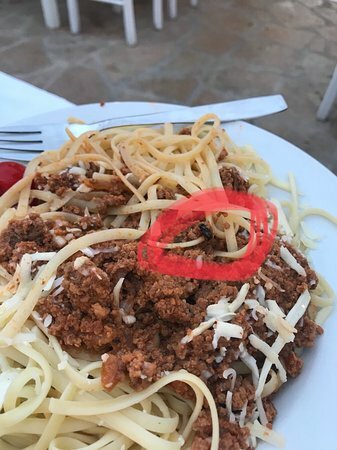 All in all a pretty disappointing state of affairs....but strouboulis is still the best place we&apos;ve been to in afitos due to the quality of food. 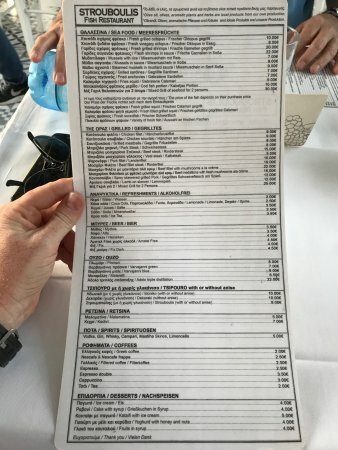 It was simply a cut above everywhere else we have been in afitos. 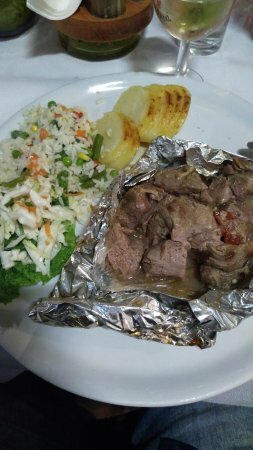 My pork steak was delicious, even though i didnt really want it! 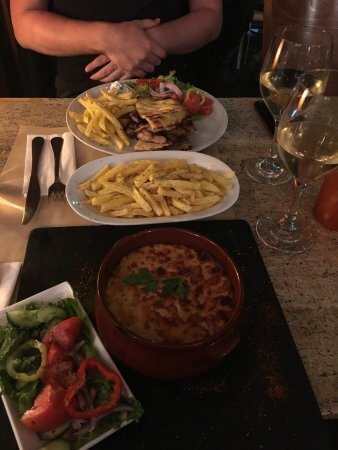 My girlfriends moussaka was one of the nicest we have had. 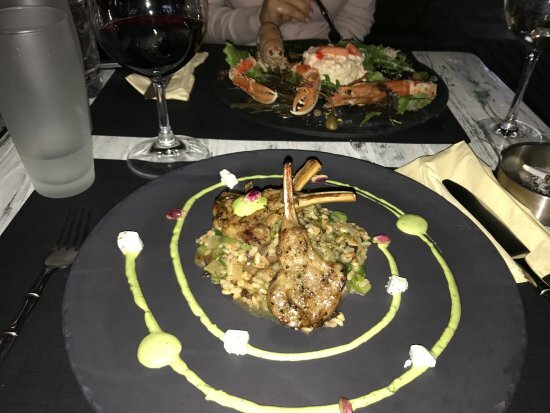 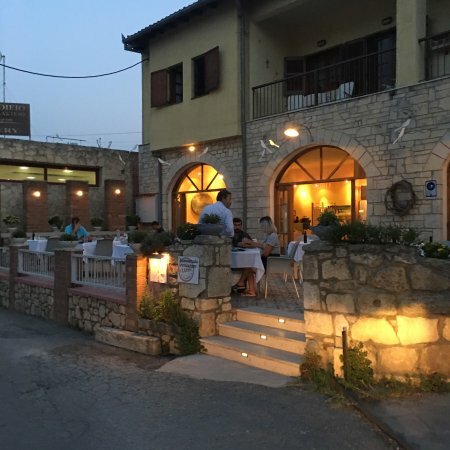 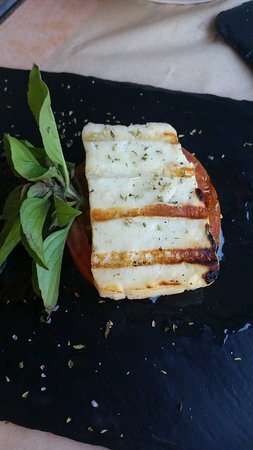 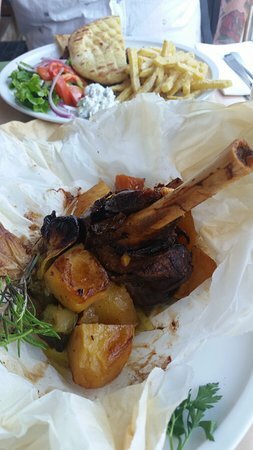 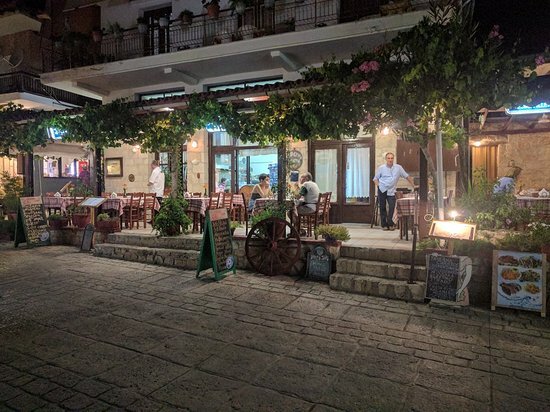 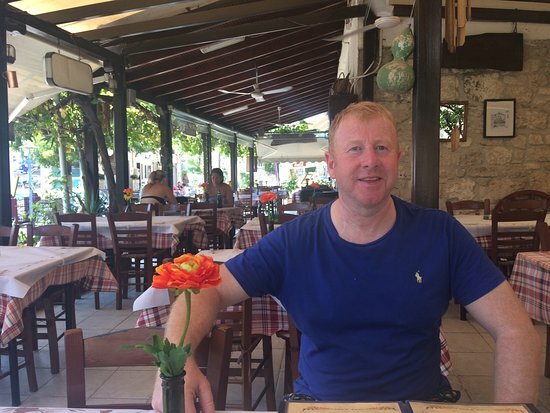 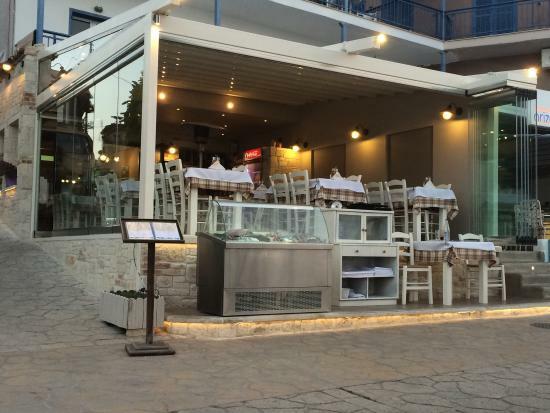 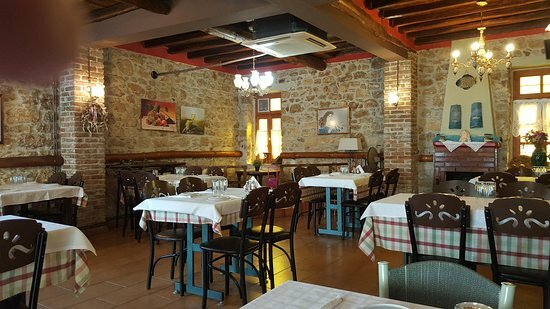 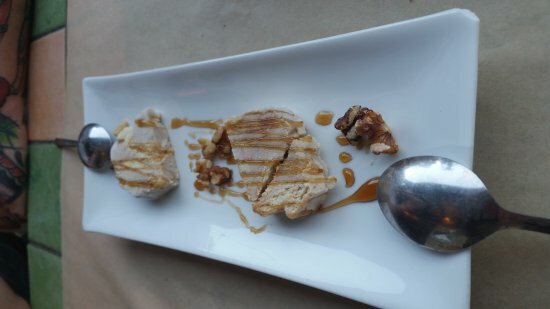 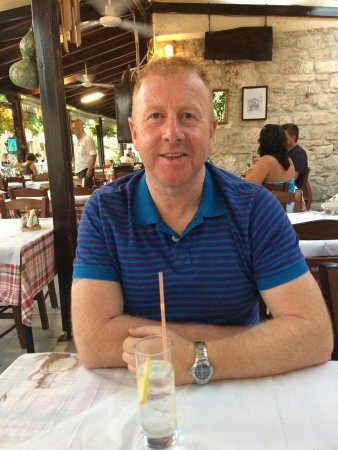 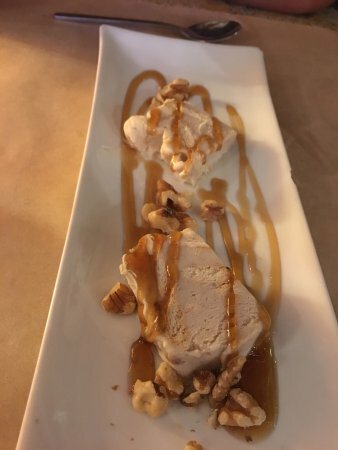 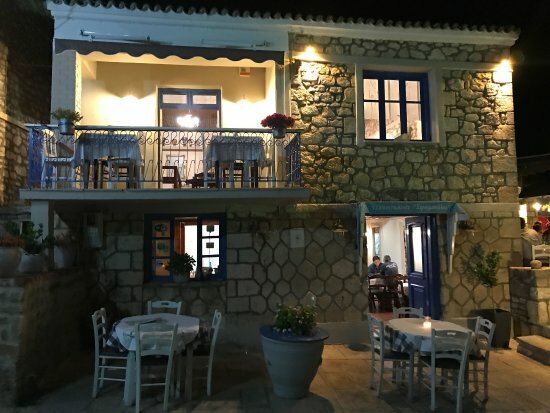 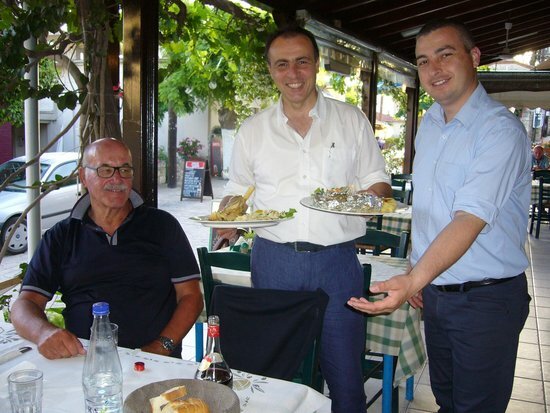 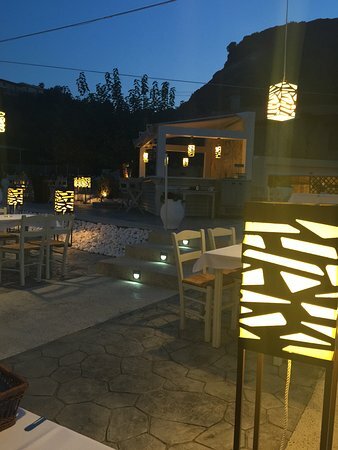 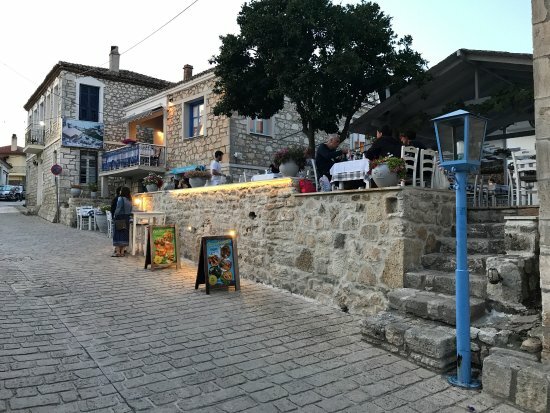 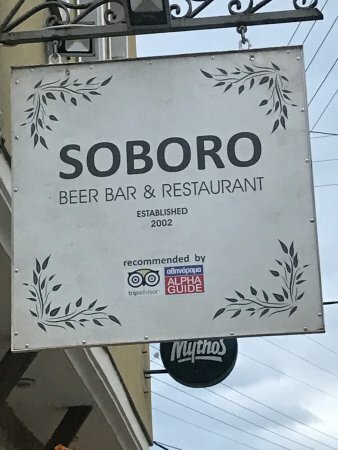 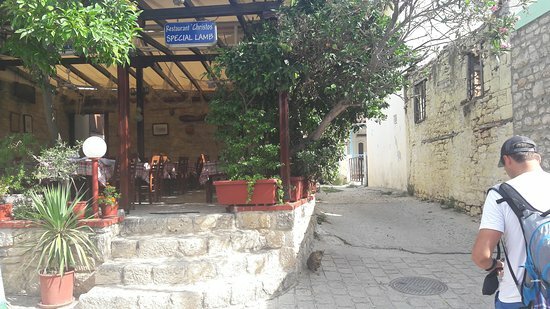 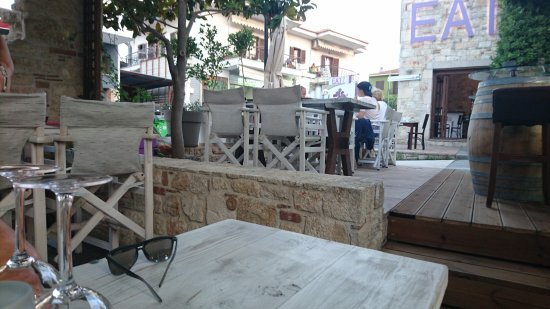 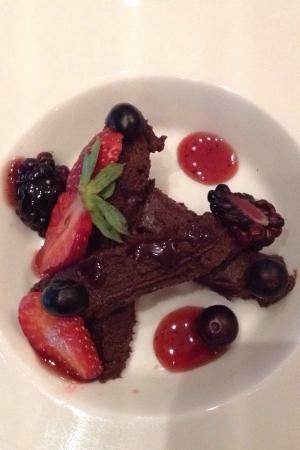 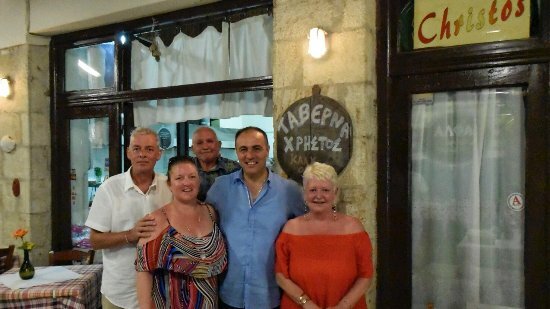 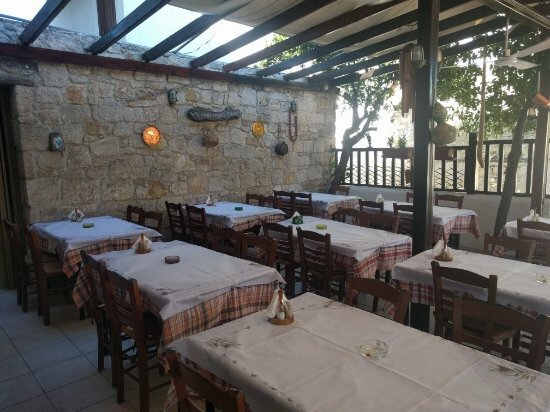 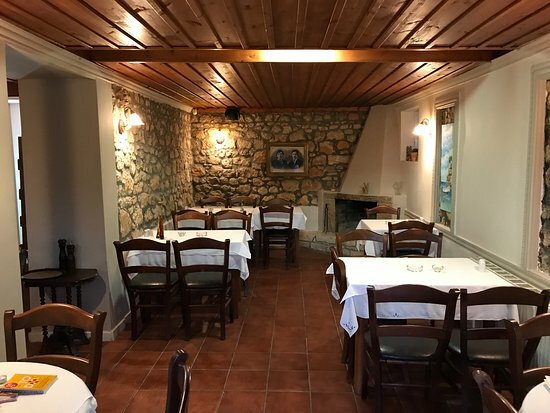 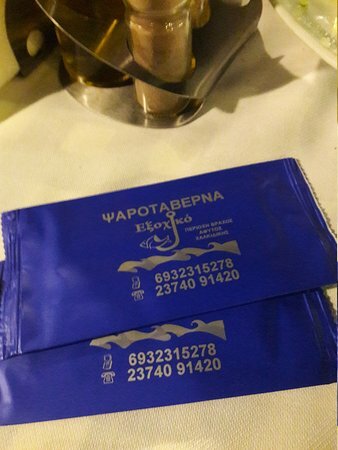 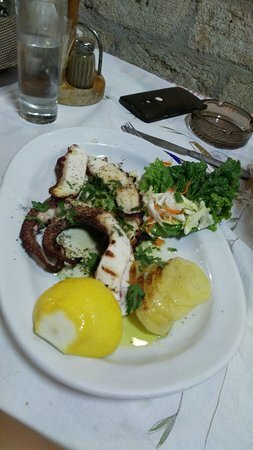 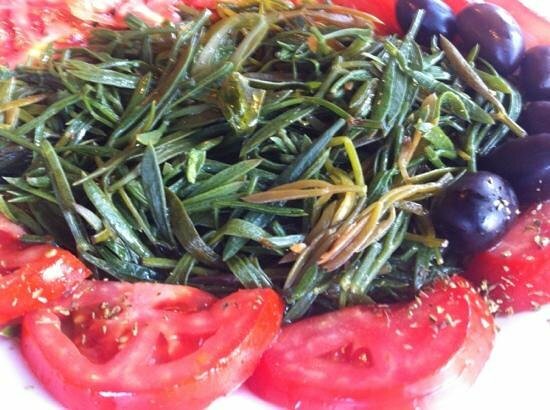 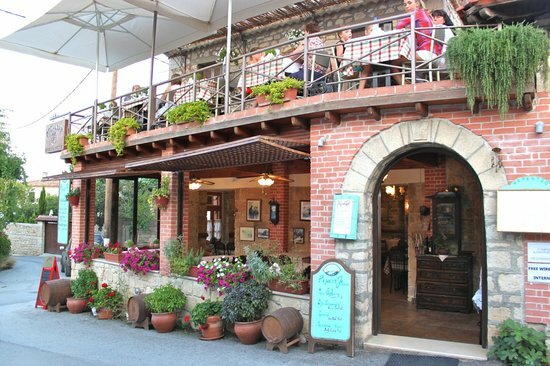 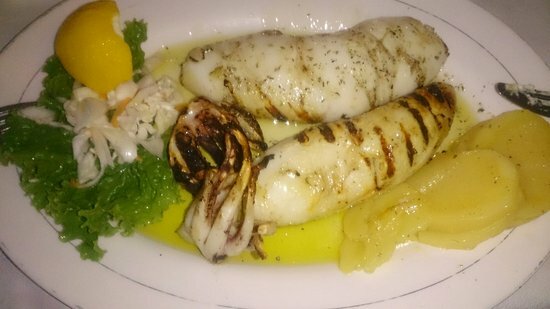 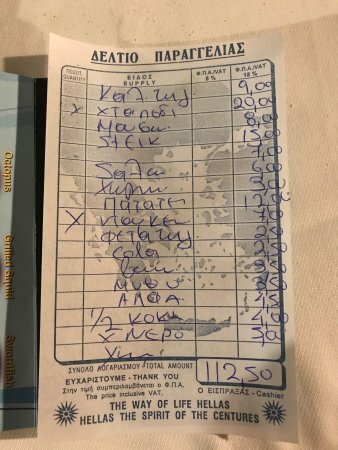 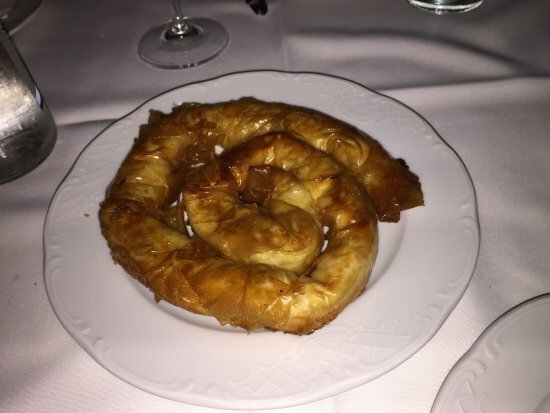 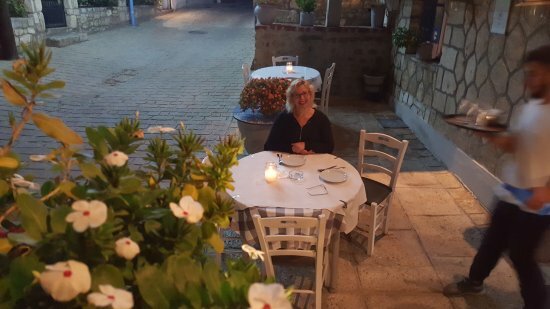 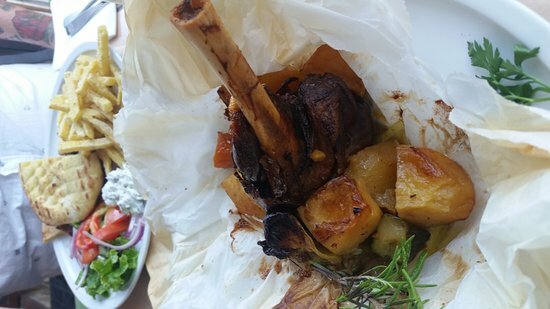 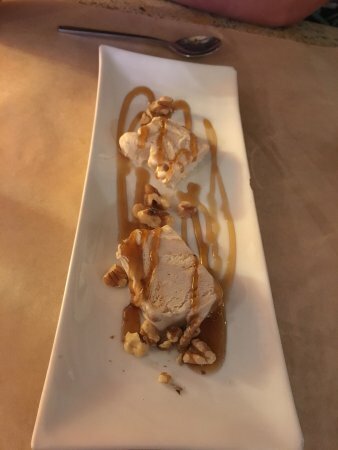 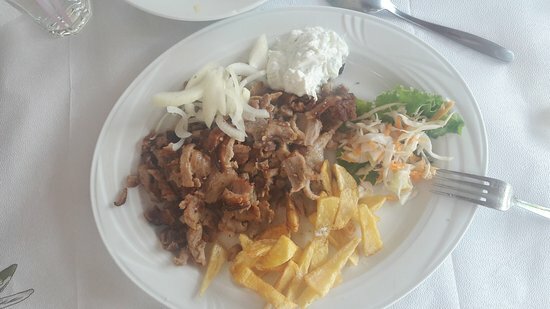 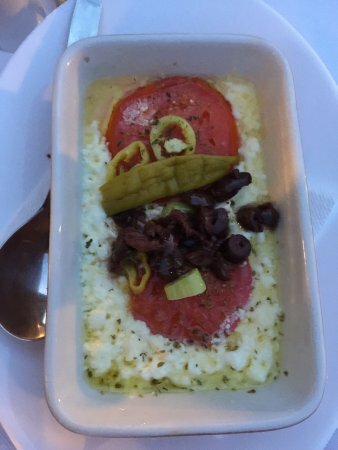 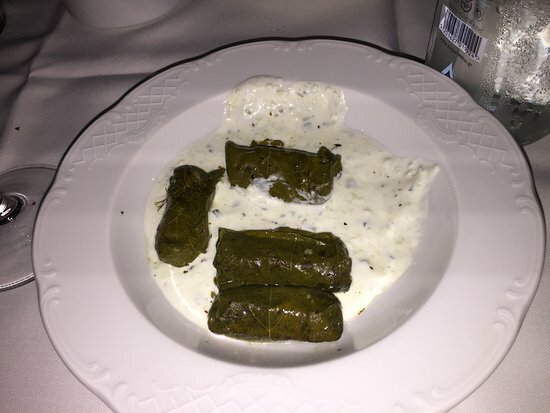 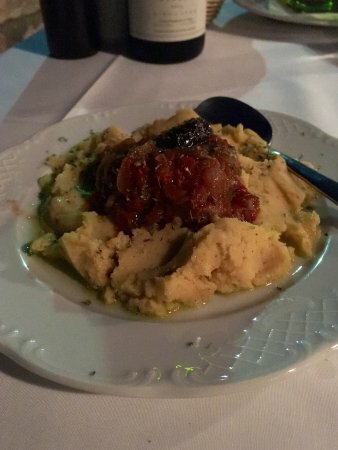 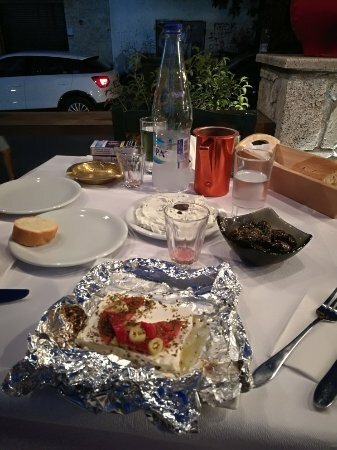 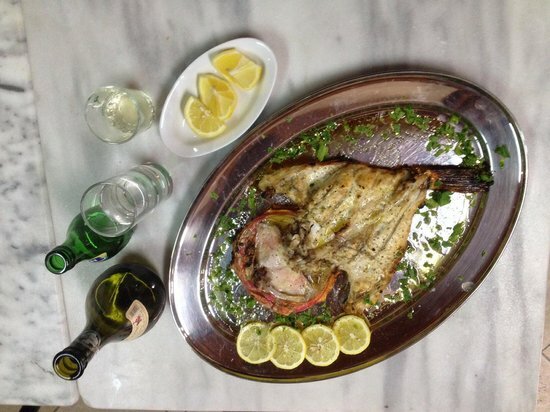 The starters were excellent, the complimentary ice cream with cherry sauce delicious, the ouzo great..
OPEN 1 MAY - 20 OCTOBER 2016 Soboro Bar & Restaurant is situated in Afytos village, 350m from Agios Dimitrios Church, and opposite the taxi rank. 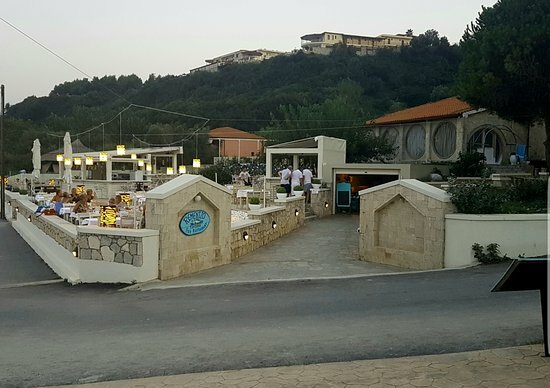 The bar & restaurant offers a friendly and relaxing atmosphere where you can enjoy a refreshing drink or something tasty to eat, regardless of the time of day. 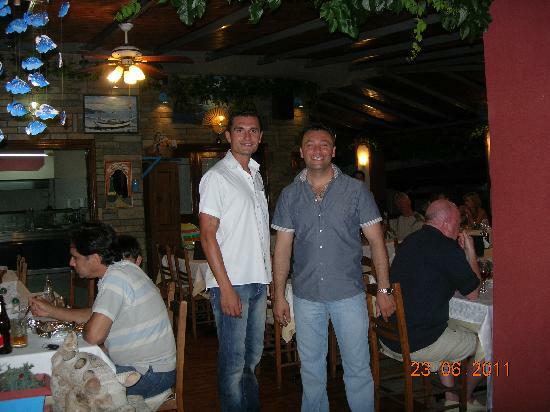 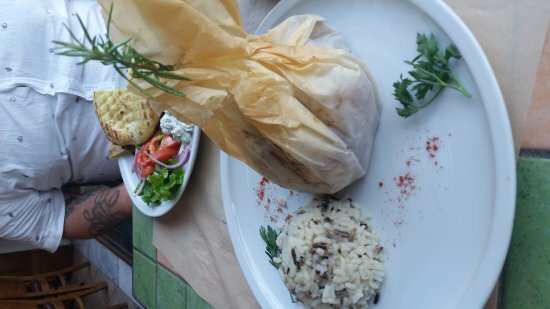 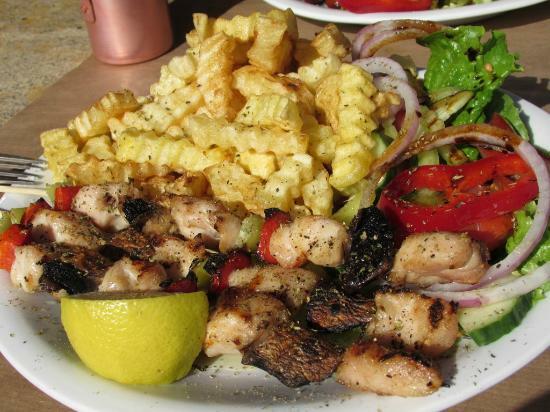 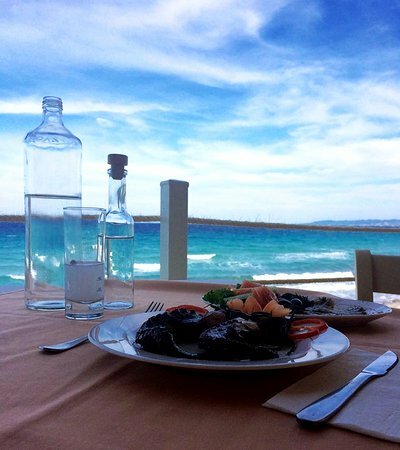 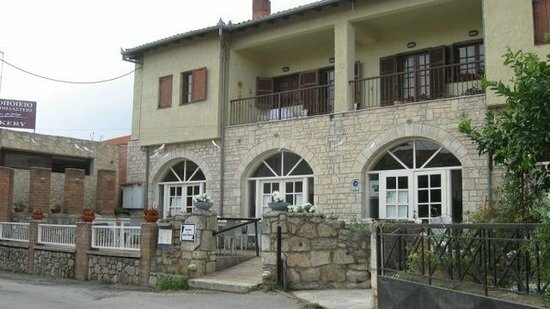 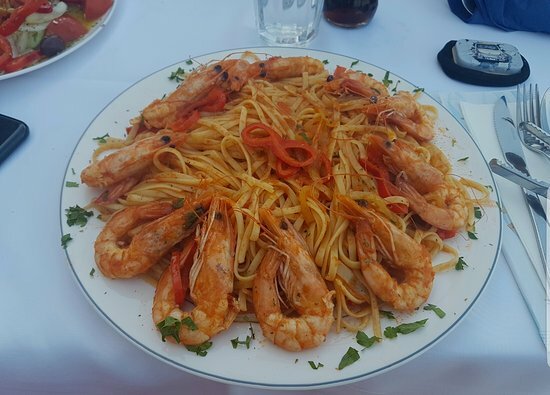 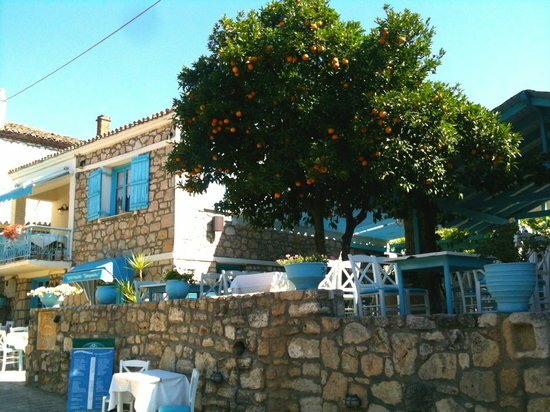 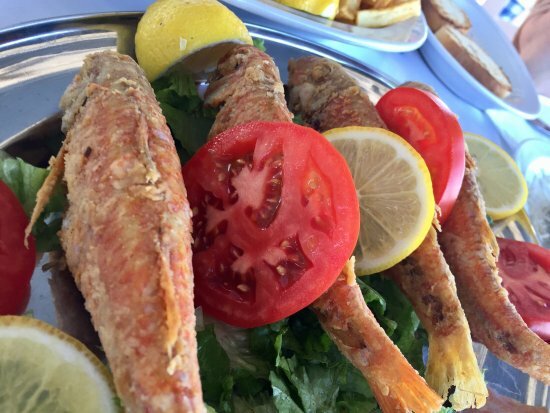 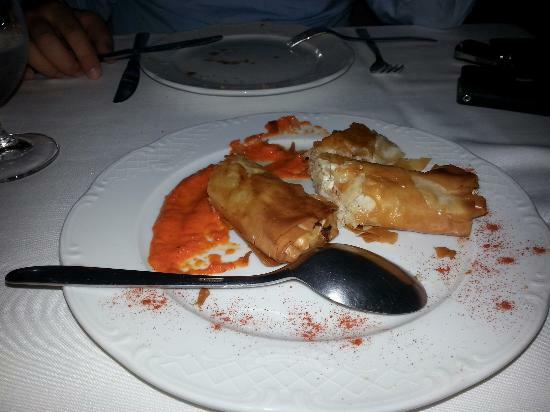 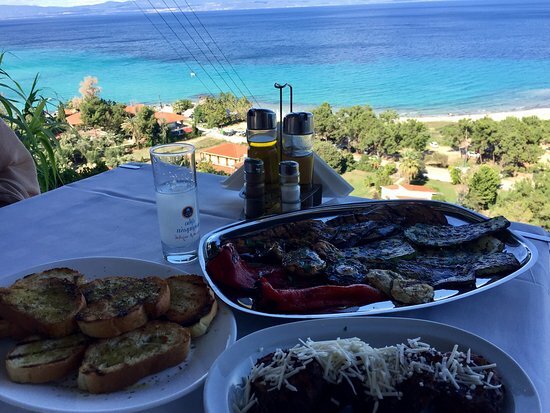 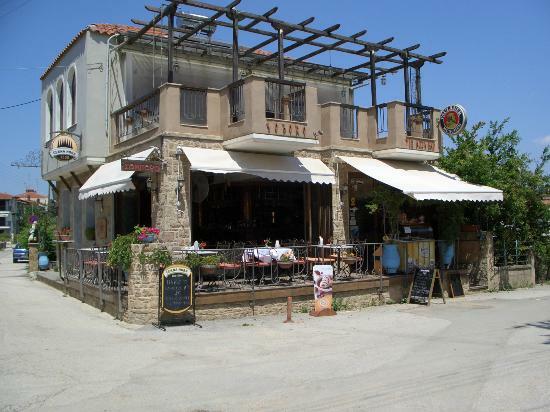 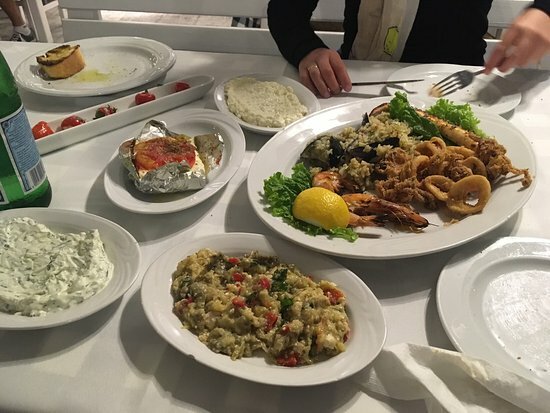 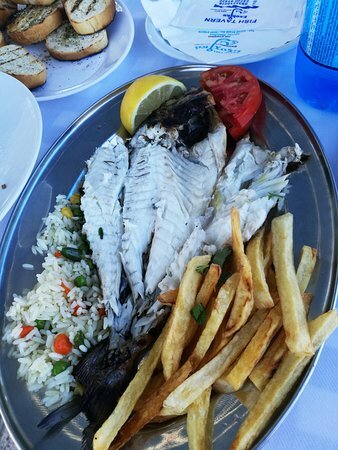 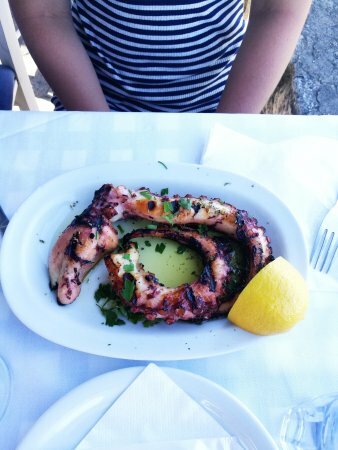 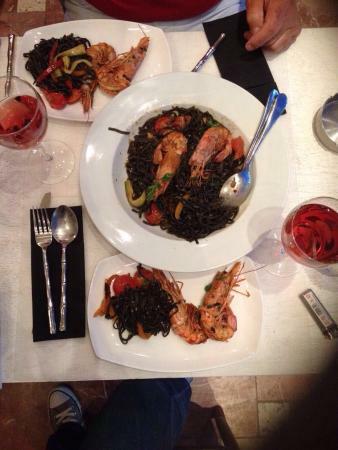 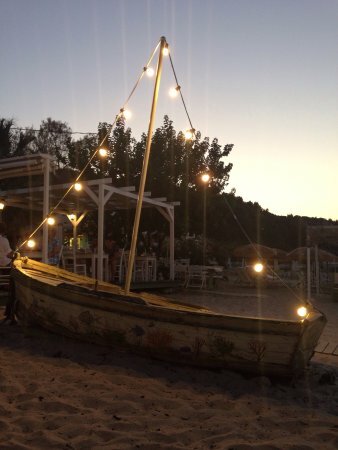 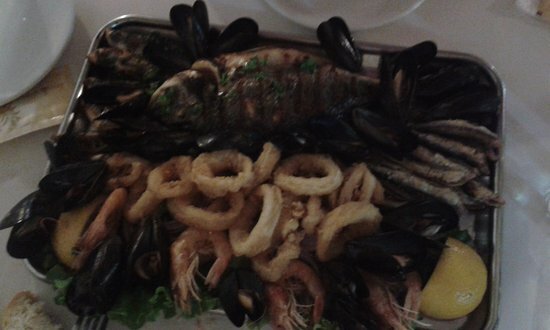 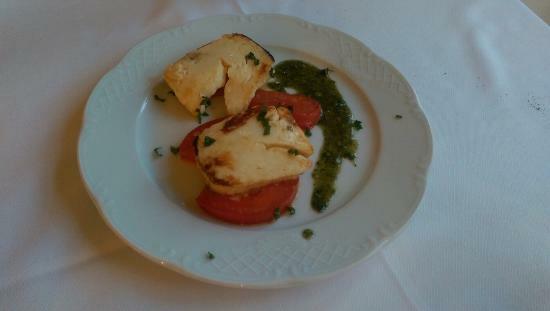 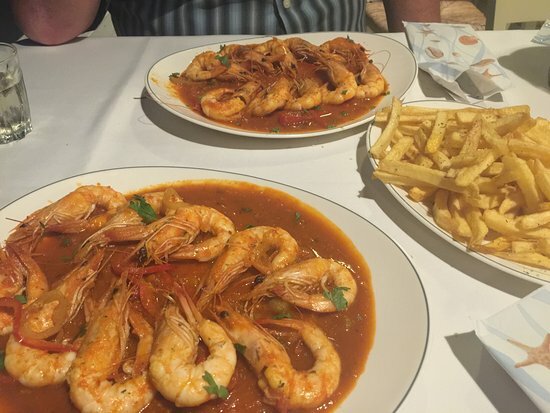 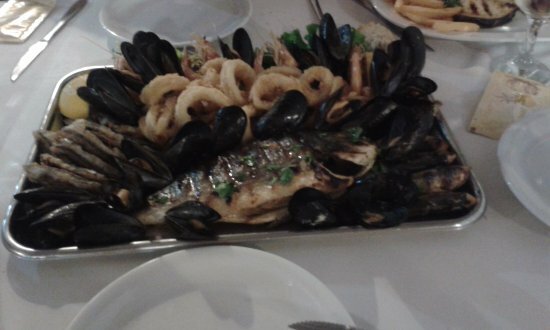 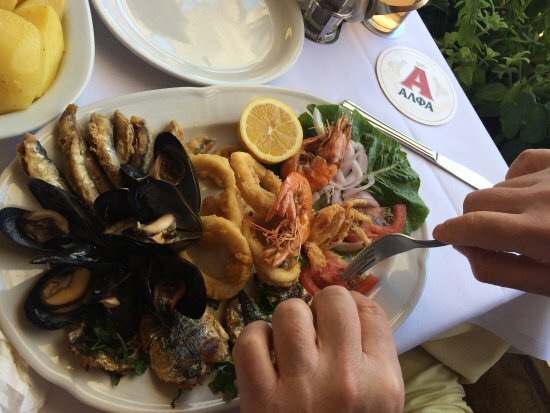 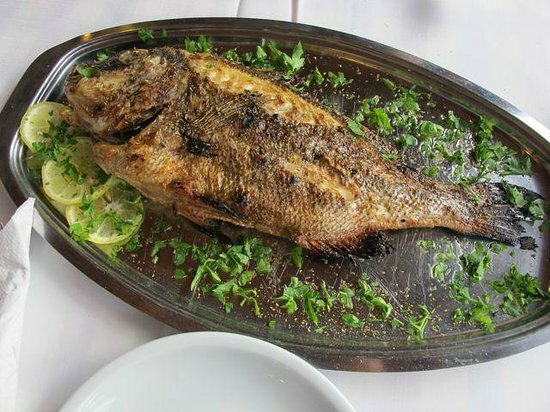 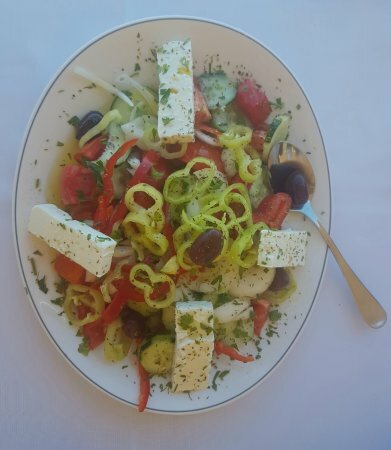 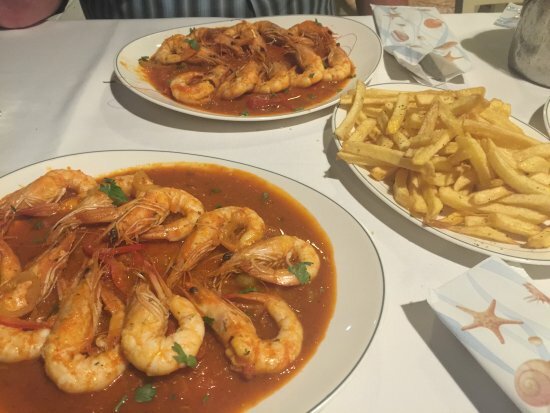 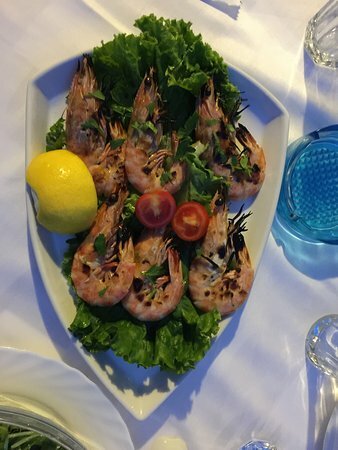 You will find a varied menu from traditional Greek dishes, Meze, fresh fish, fresh salads, and main plates. 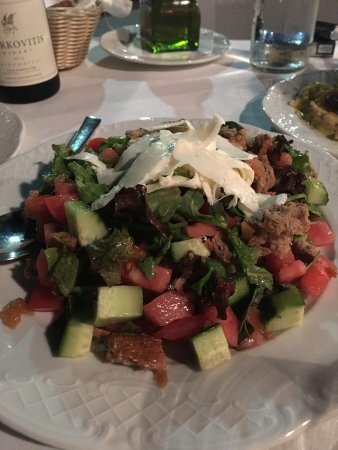 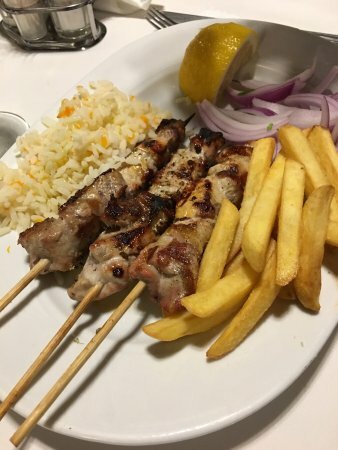 The grilled red peppers and traditional gyros are a great choice. 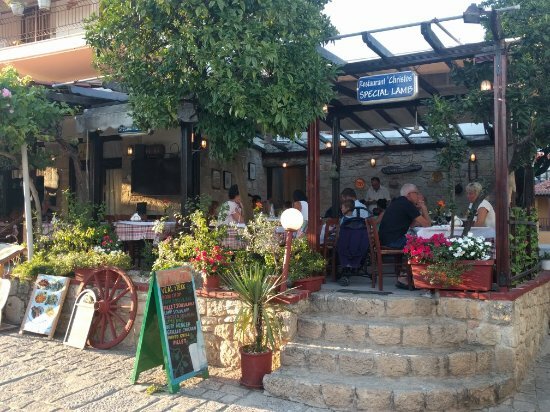 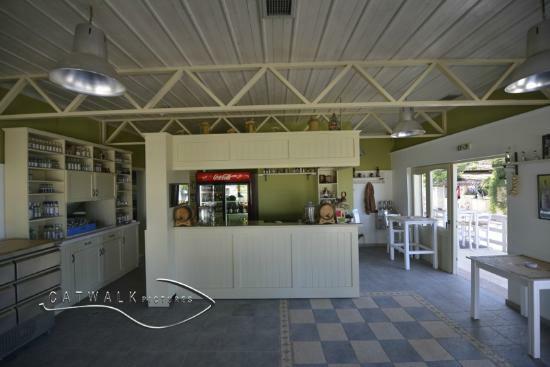 For those looking for refreshments, there is a full bar with plenty on offer from fresh juice, milkshakes, teas, and coffees to alcoholic beverages. 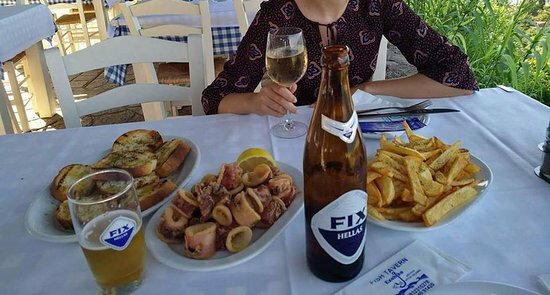 You can enjoy a glass of beer with a selection from Greece, Czech Republic, Belgium, Holland, Germany and the UK. 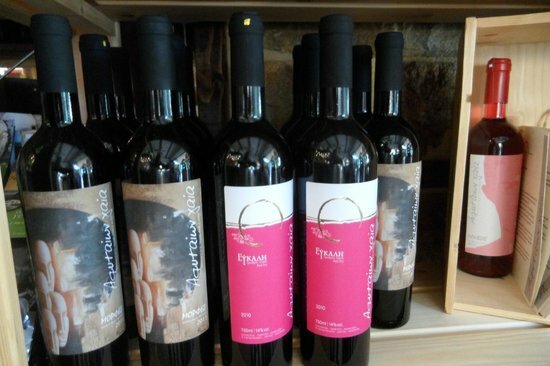 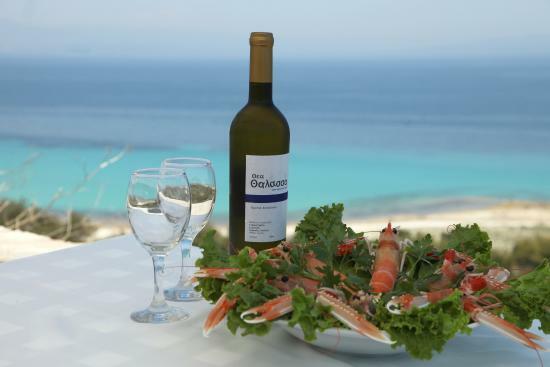 For those who&apos;d prefer a glass of wine, there is a good selection of Greek wines which can be enjoyed. 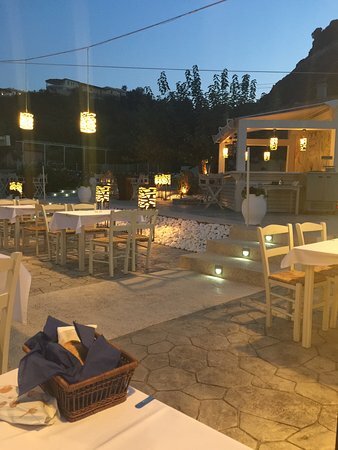 For the summer evenings there is a beautiful, upstairs roof Terrace with panoramic views of the village. 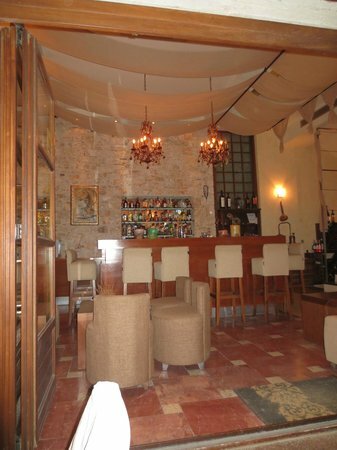 For our Sports fans, the bar does show local and international events. 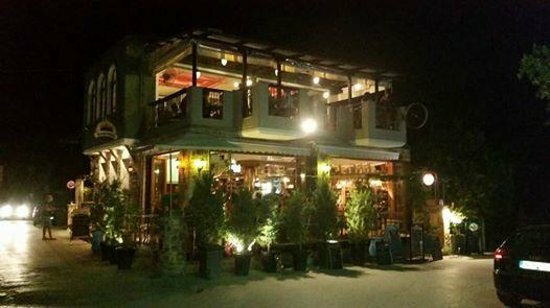 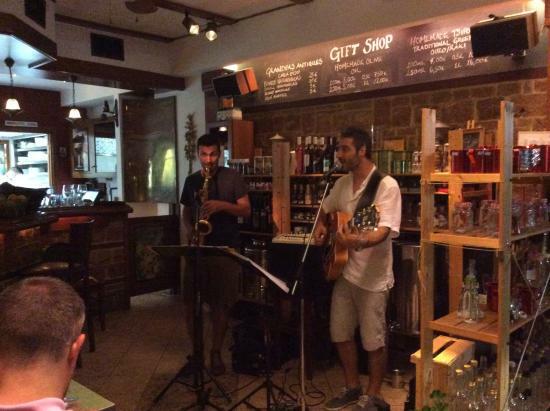 Live music is played several nights a week, and on those occasional rainy days you can catch a movie whilst enjoying a cup of the prefered. 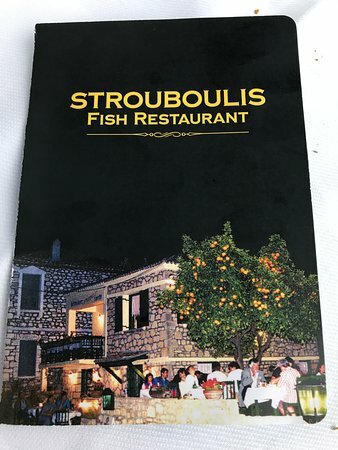 We ate here three times (two lunches, one dinner) in one week, every time the food was great, and the service fast and friendly. 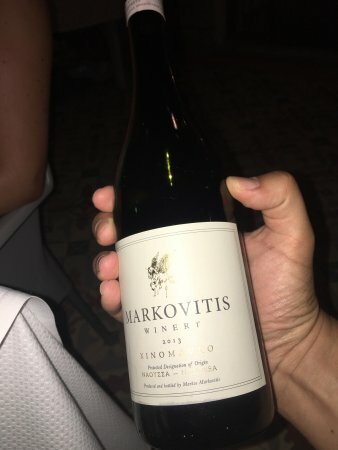 The wine (both the house and bottled) was very good and very reasonably priced. 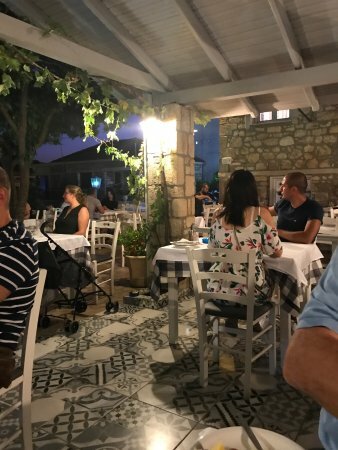 This restaurant is fab! 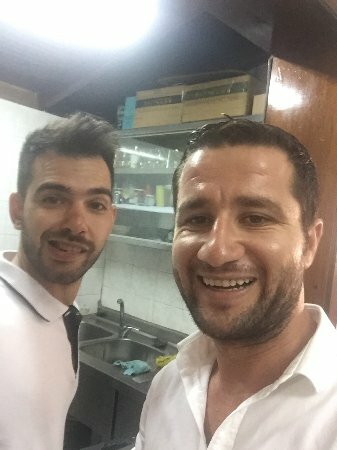 All the staff especially George (Nodari) are so enthusiastic and look after the customers so well! 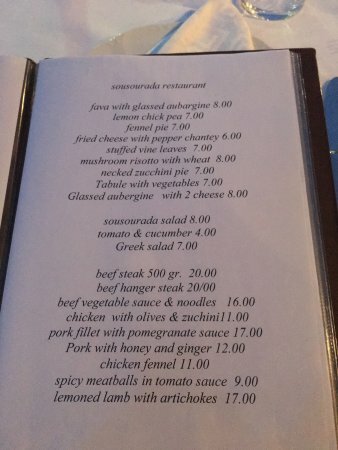 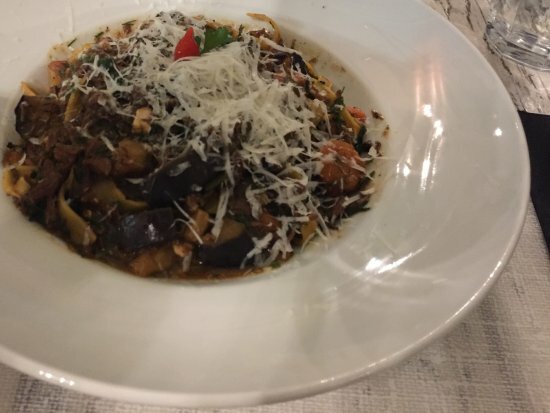 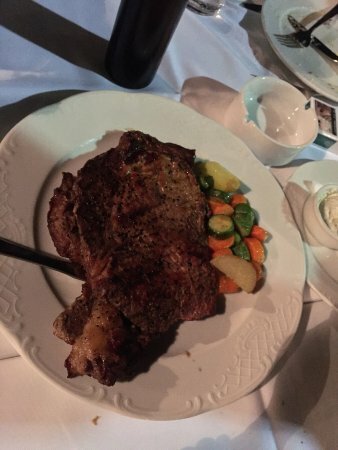 The food is very reasonably priced and the menu is large! 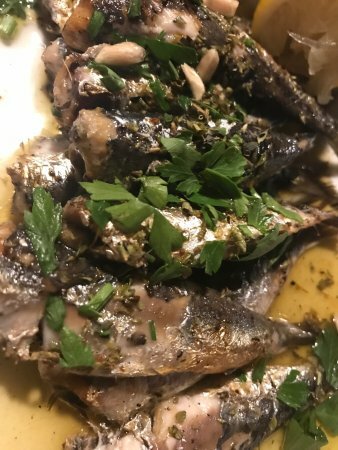 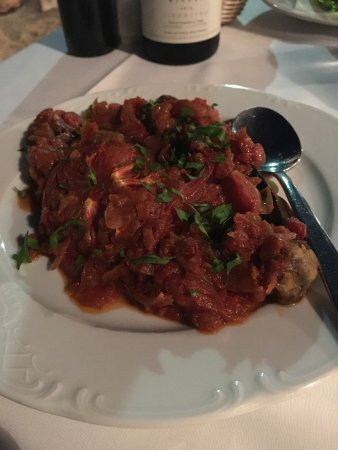 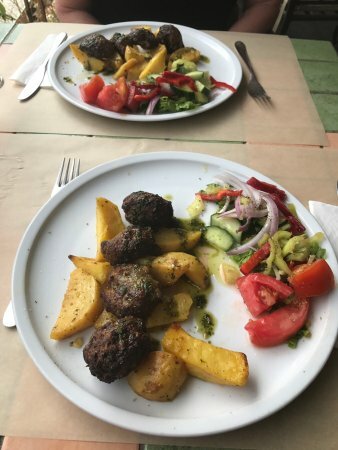 We recommend the fried aubergines with tzatziki, pitta bread and a Greek salad to start, followed by beef stifado or lamb kleftiko! 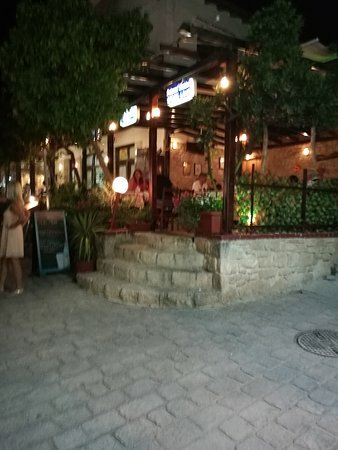 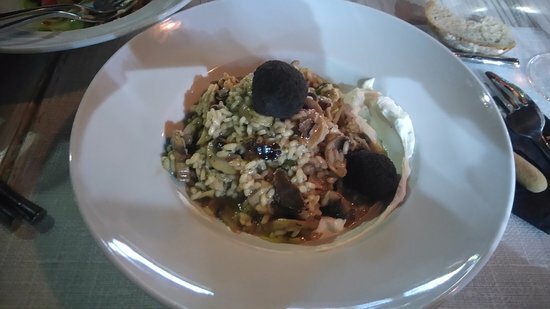 We were recommended by a local and were SO looking forward to eating here.....yes was lovely Terrace fab atmosphere intimate but too,busy for one person to take all the orders...including drinks. 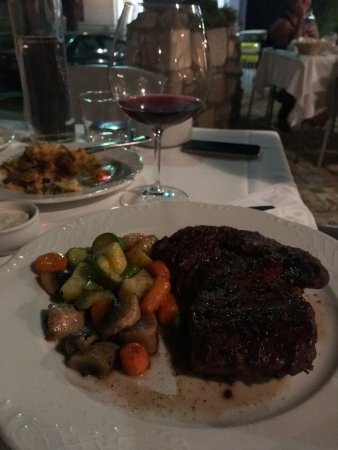 The menu was small but sounded amazing and cooked to order.Partner chose beef steak which he was told didn&apos;t have on tonight but would be brought something nice.....it was called a &apos;hanger&apos; steak which was tasty but tough as anything and very chewy certainly not deserving the €20 euro price tag. 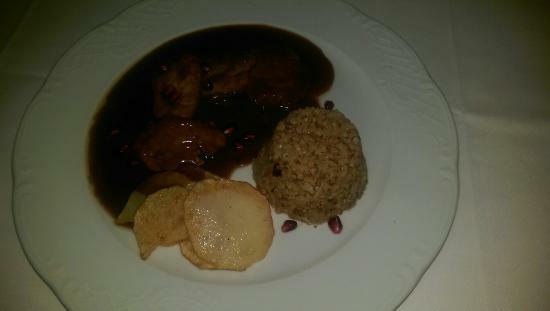 I had pork in honey and ginger which was very tasty but again meat not the tenderist I have had this holiday. 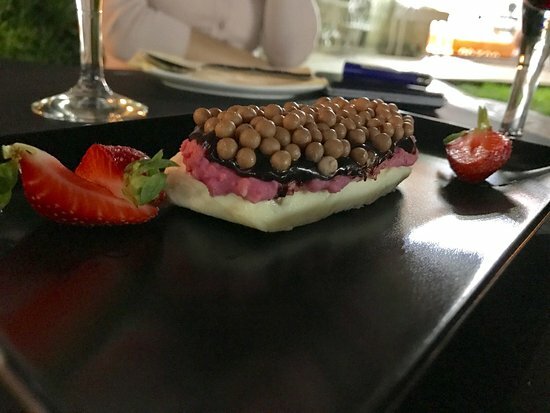 Watching people have their desserts they looked amazing and tempting but unfortunately this wasn&apos;t even offered to us....just the bill brought without us asking! 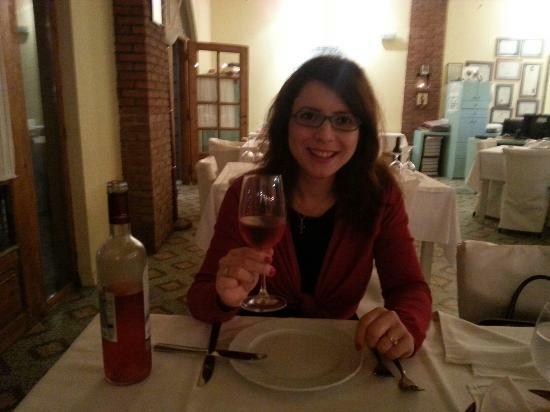 Even a desert wine would have been had after tasting the great wine...but no chance! 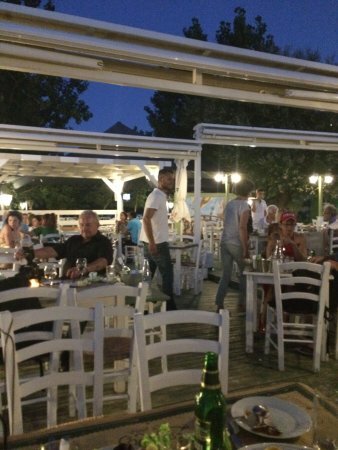 I think maybe an early finish was required as the gentleman then went and sat with others on a nearby table. 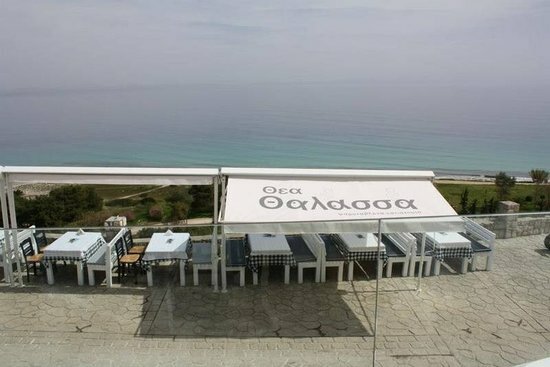 Take in the sea view! 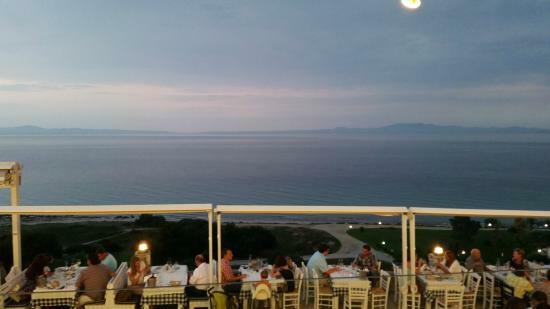 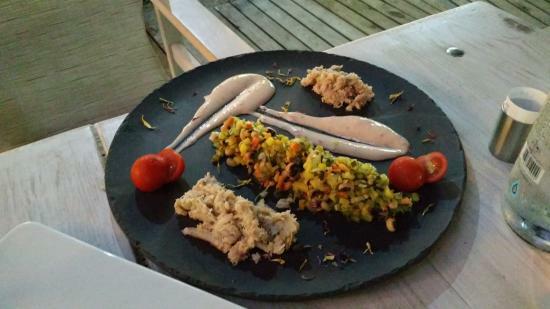 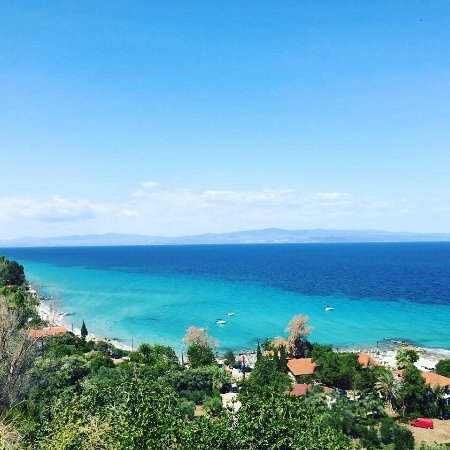 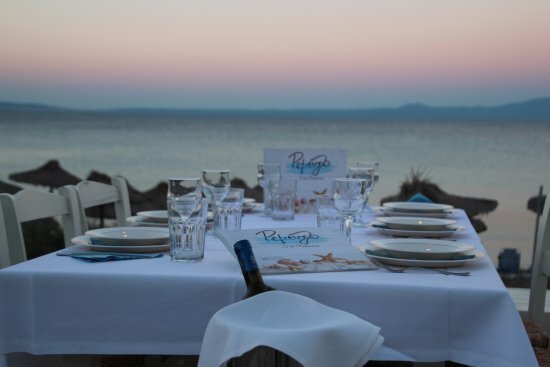 Located on the cliff of Afitos in Halkidiki, Thea Thalassa offers its guests an exceptional summer dining experience with an unrivalled sea view! 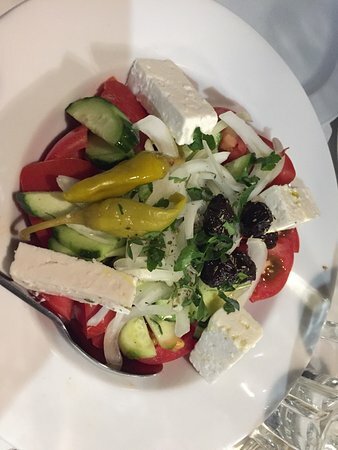 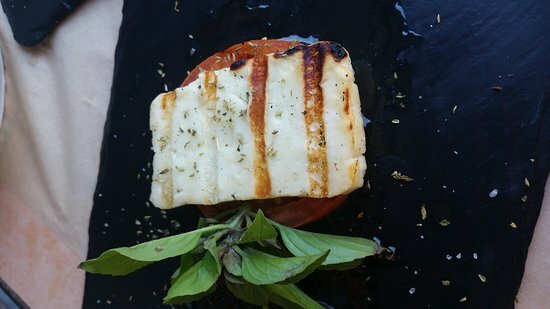 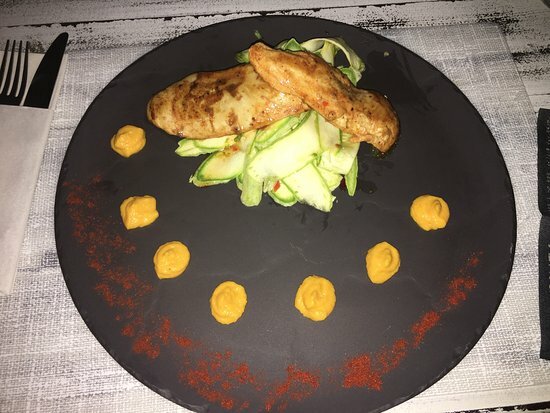 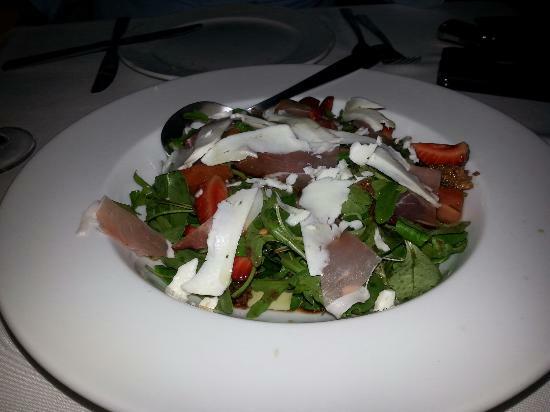 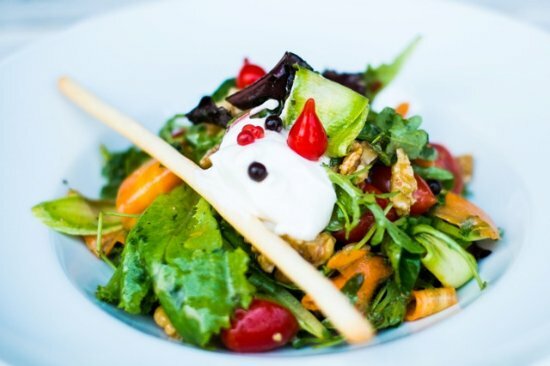 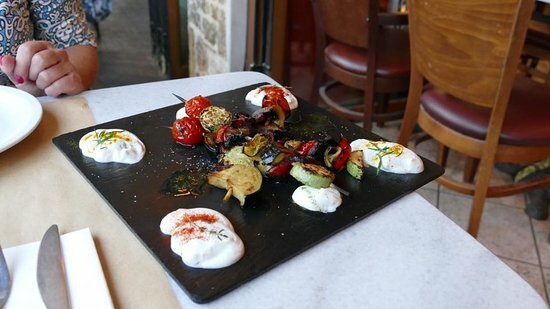 Native creations including seasonal dishes with fresh pure Greek ingredients ! 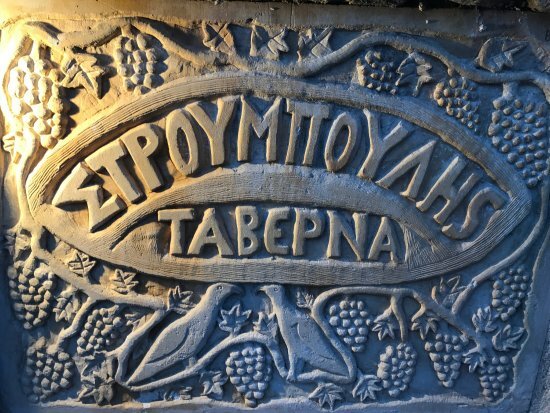 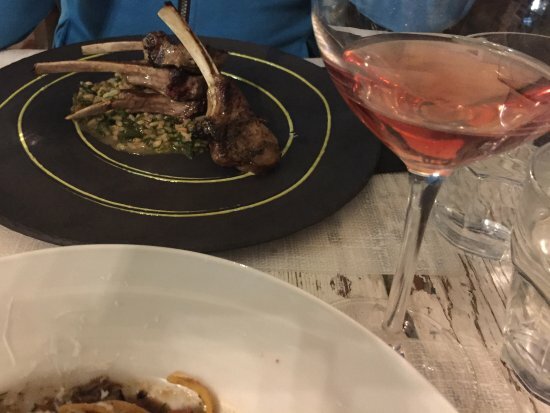 Our wine list is unique, featuring the finest local wines from different parts of Greece. 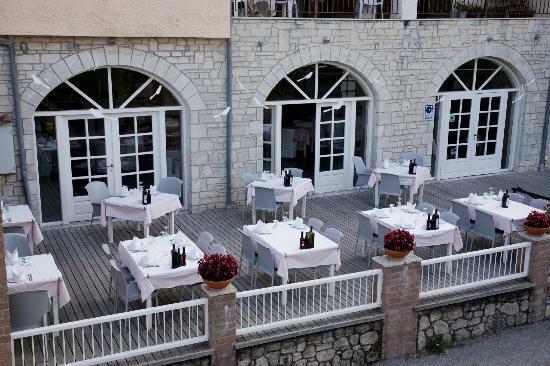 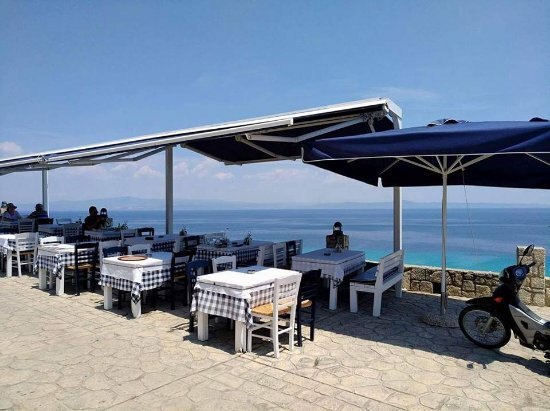 Very nice Restaurant and Location. 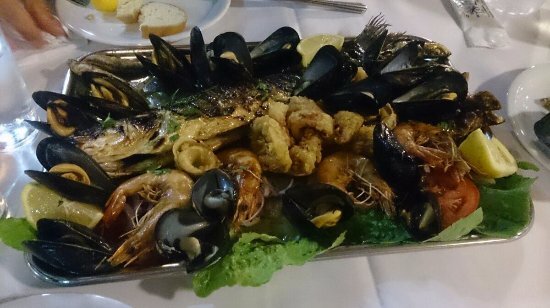 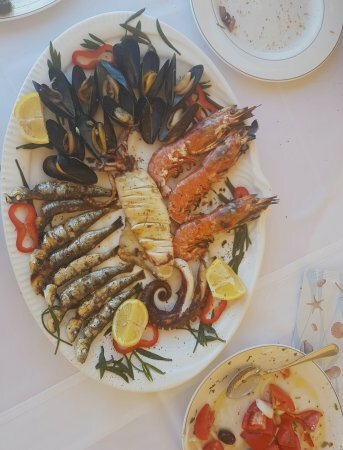 We only tried Seafood, but every single plate was a piece of Art. 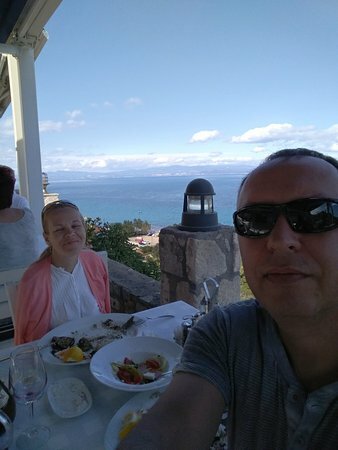 Service was great and the View was Spectacular!!! 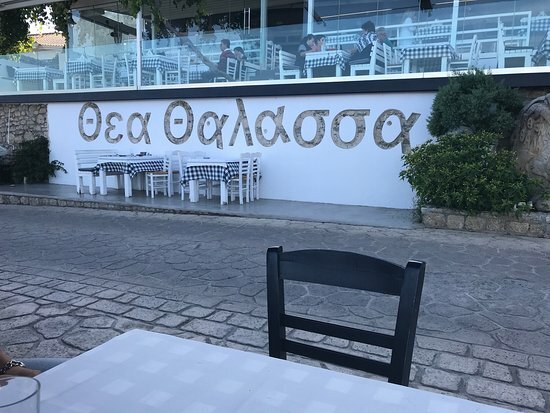 I can only recommend and cannot wait to visit again next year.Χαιρόμαστε για τις όμορφες στιγμές που δημιουργισαμαι για εσάς.!!! 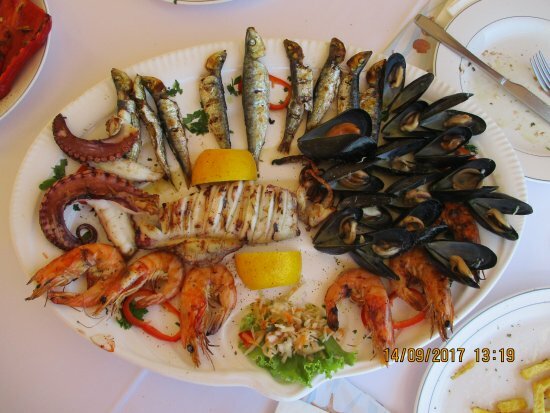 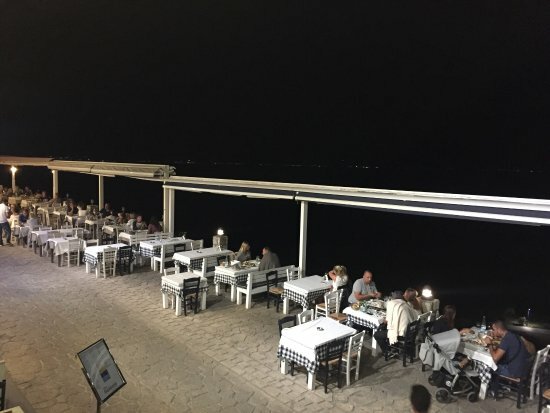 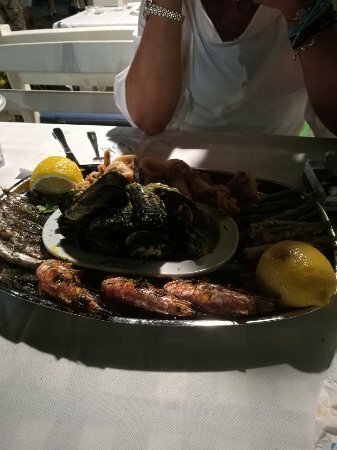 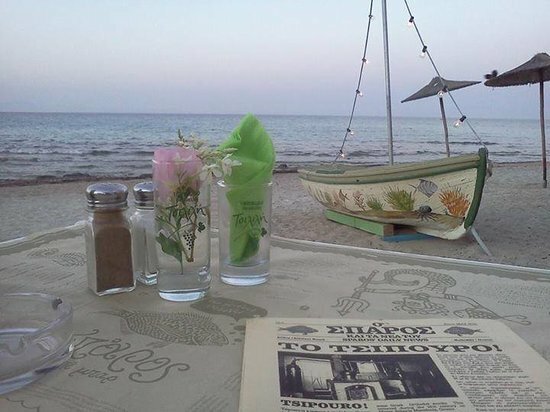 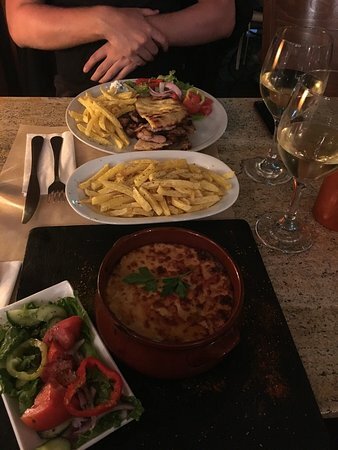 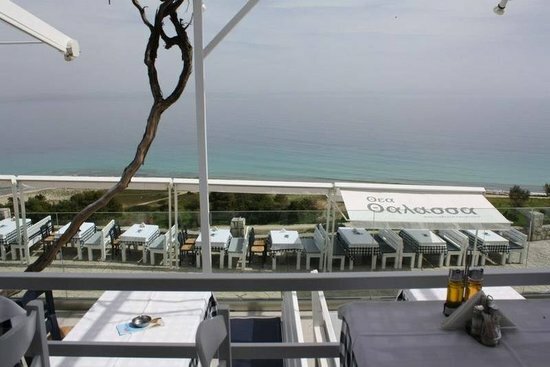 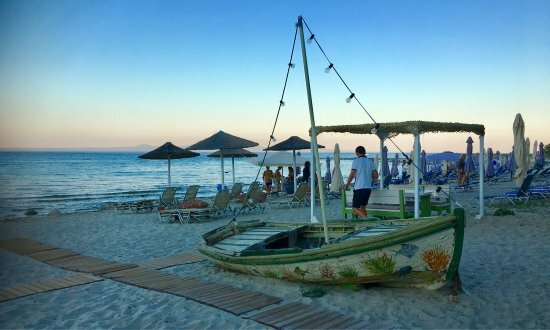 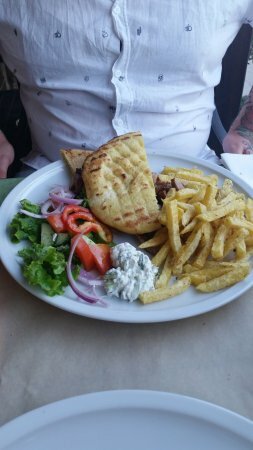 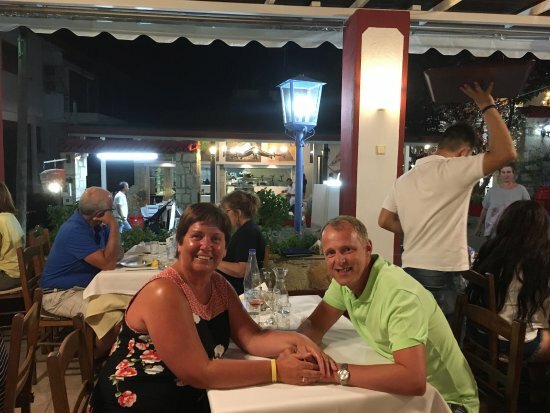 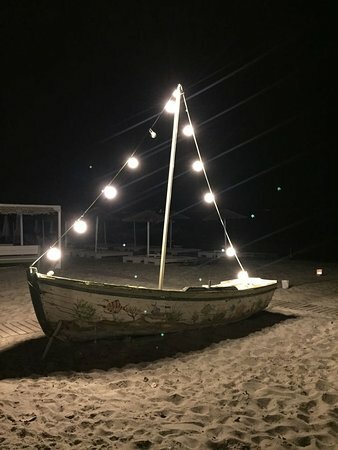 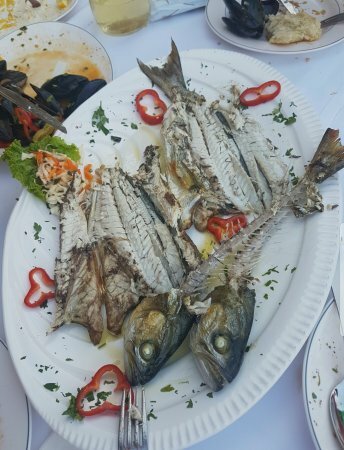 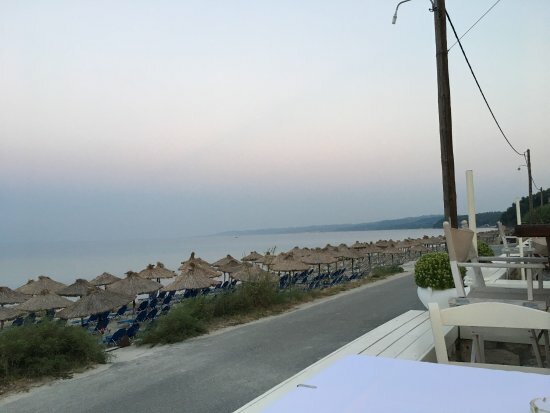 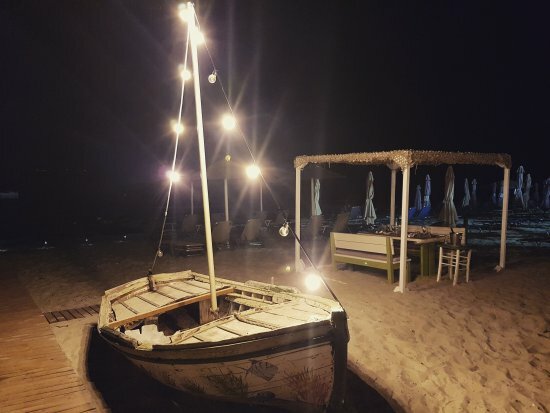 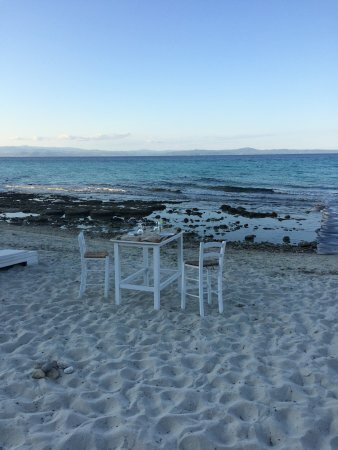 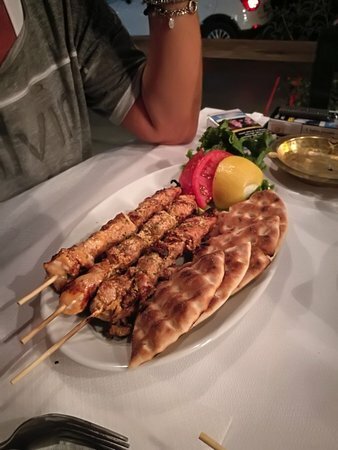 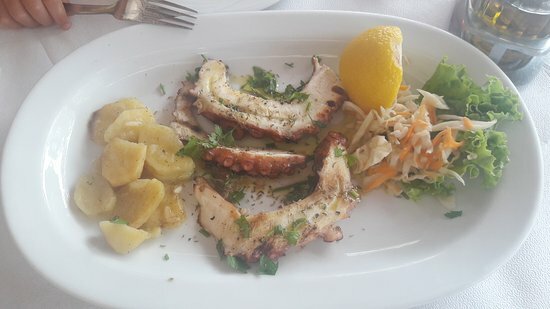 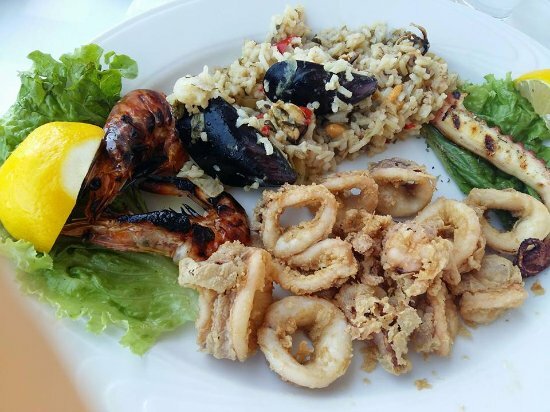 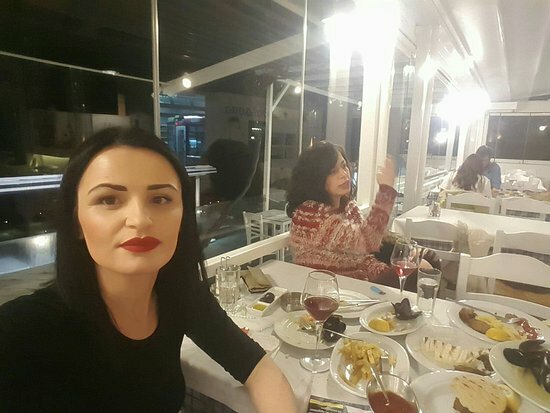 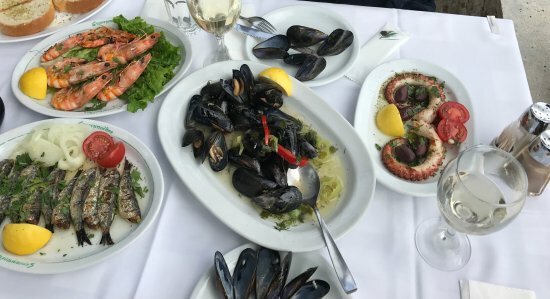 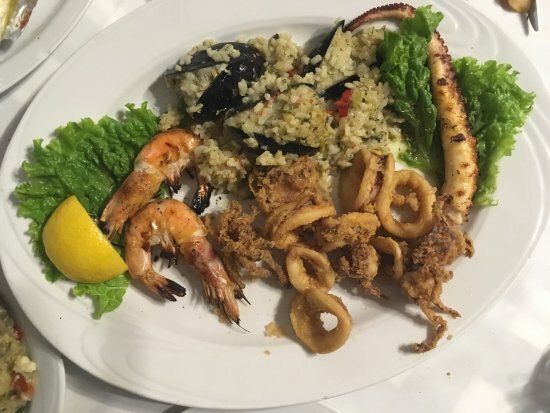 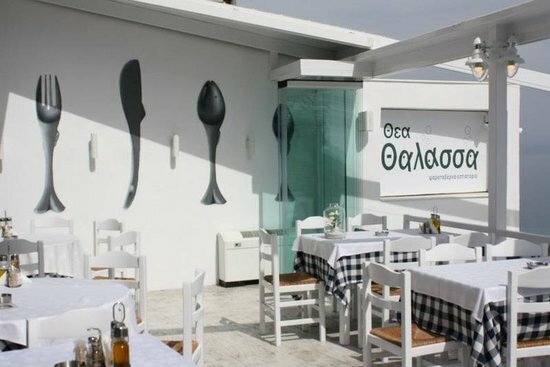 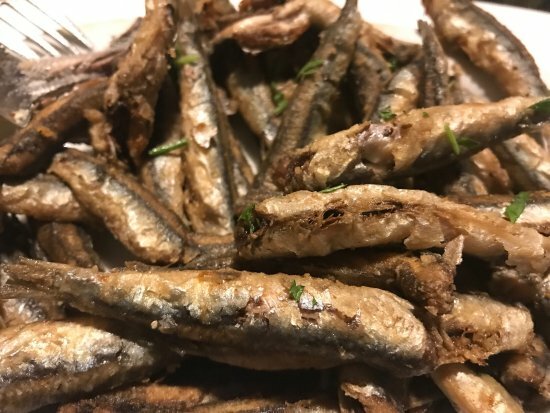 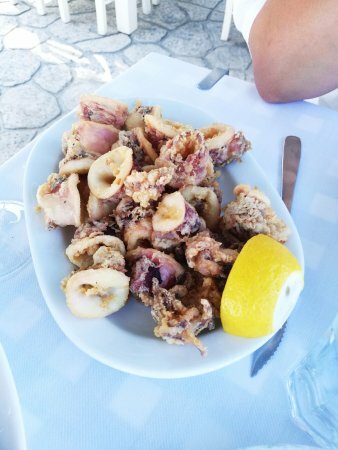 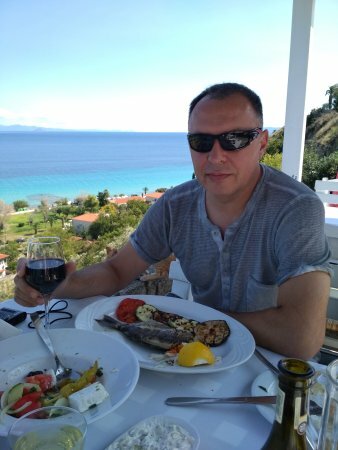 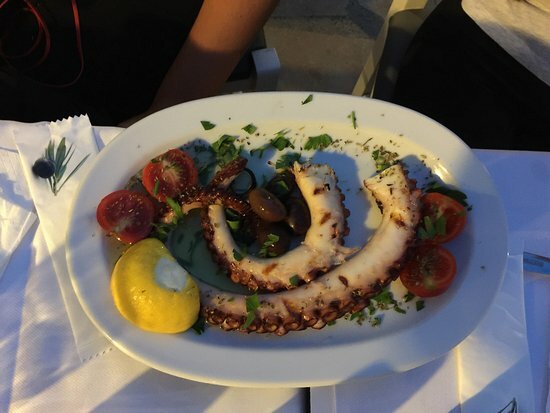 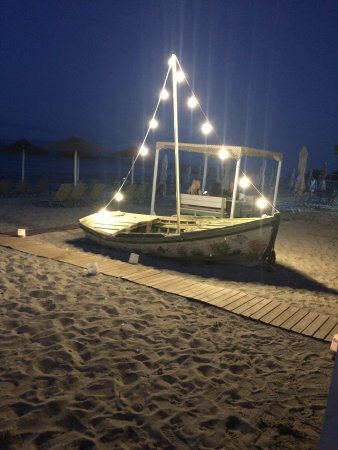 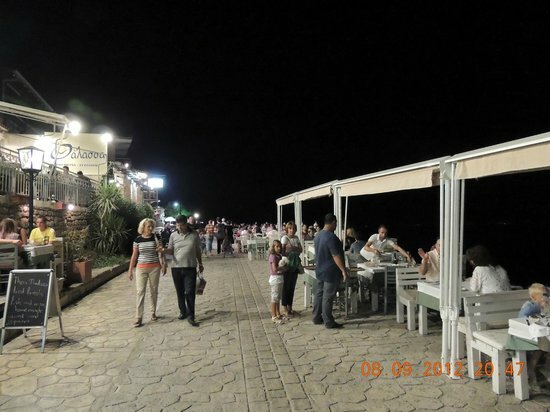 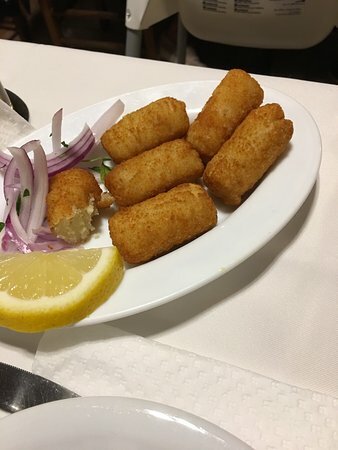 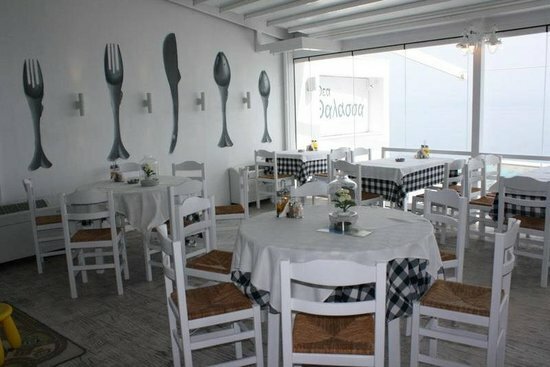 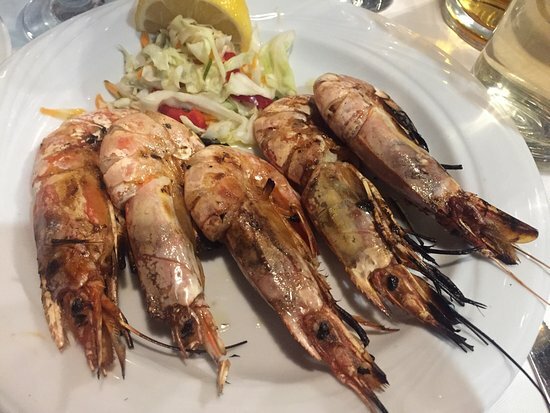 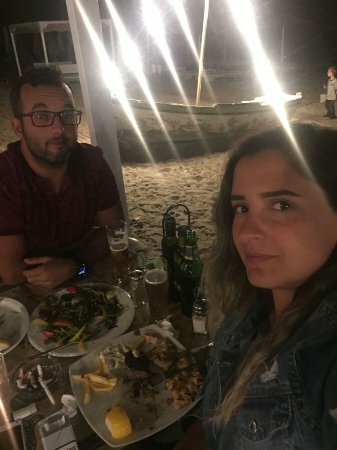 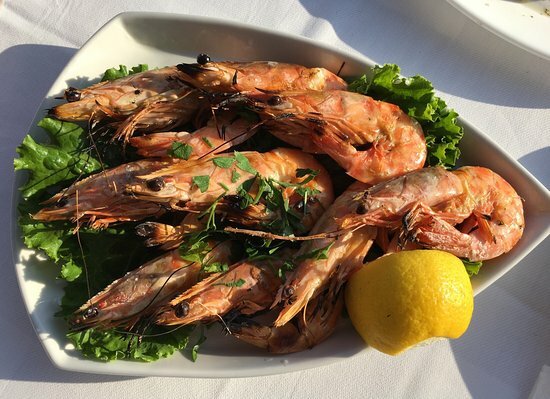 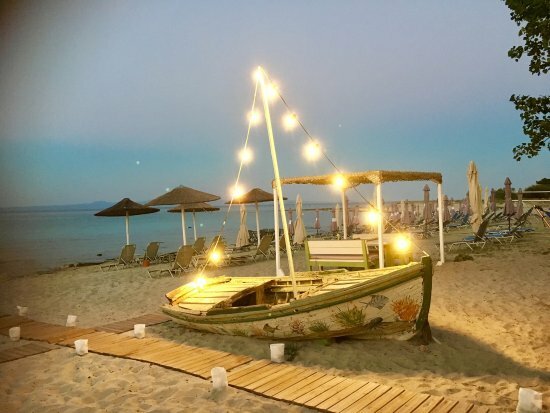 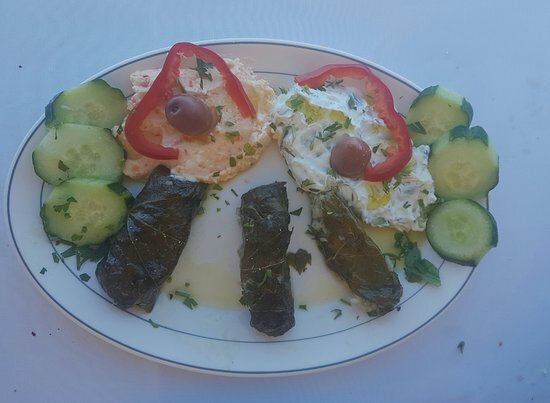 A modern greek restaurant (Meze Bar), next to the sea, providing an easy-going environment.Fresh fish and Seafood and a great collection of Greek tapas (Mezes) to accompany your traditional ouzo or tsipouro. 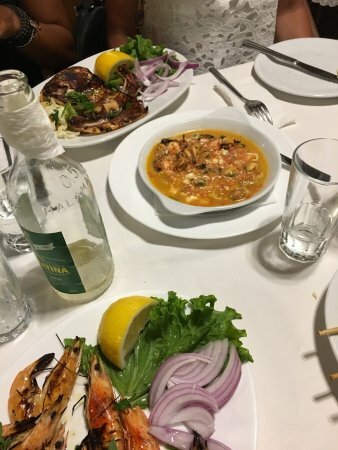 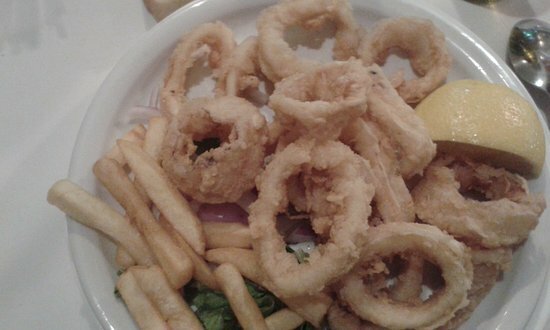 The wide range of greek tastes and drinks provided, satisfying even the most demanding greek- food lovers. 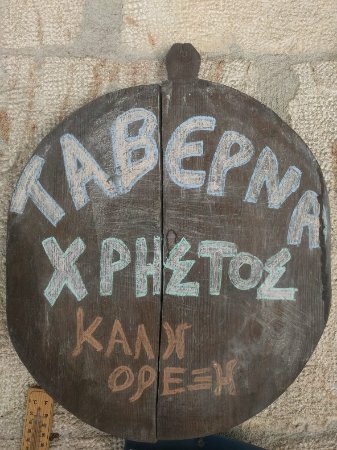 Open from 12:00 till (very) late. 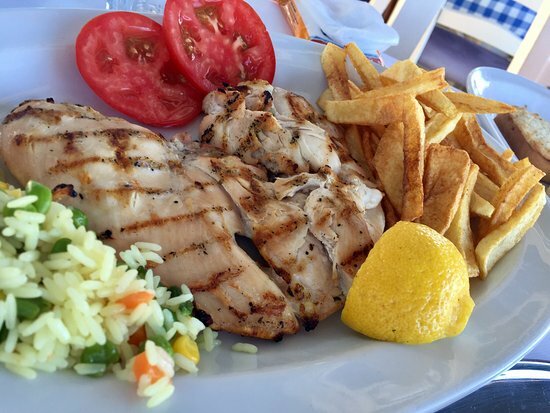 Fresh, tasty and GREEK. 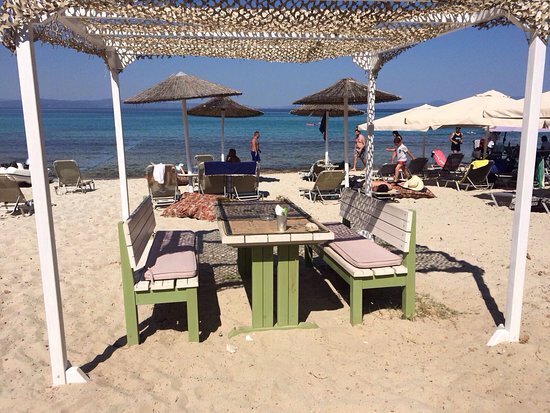 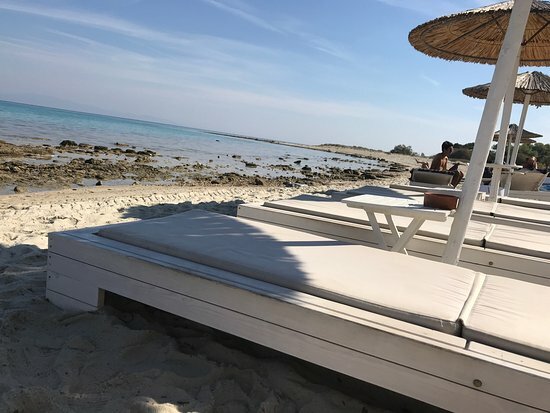 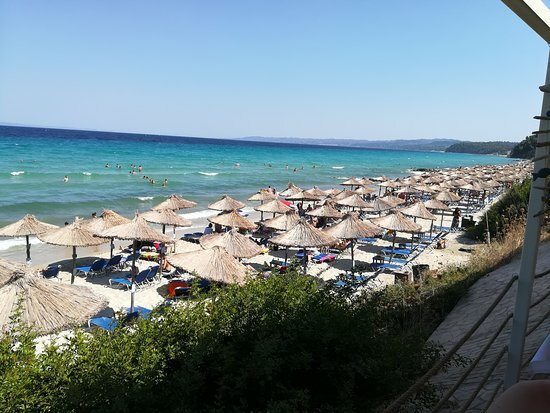 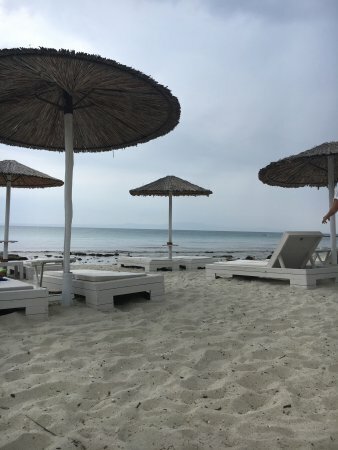 We spent many days on the beach by the Sparos where sun beds and umbrellas are free of charge if you buy a drink. 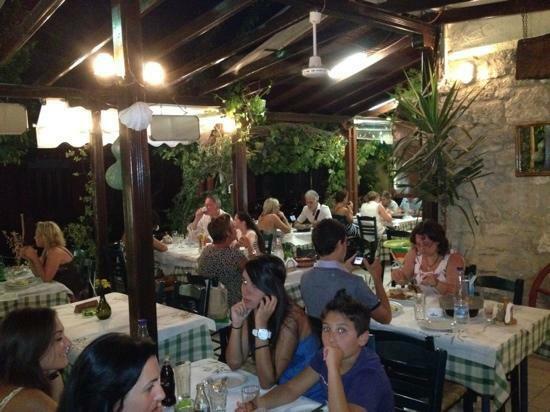 There is a wide and varied menu on all day and night. 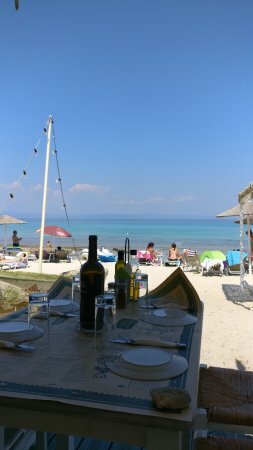 For lunch we enjoyed their small Meze at €3.60 which includes bread rolls and ouzo in their beach restaurant overlooking the beach and the crystal clear water with views of Sithonia (2nd peninsula). 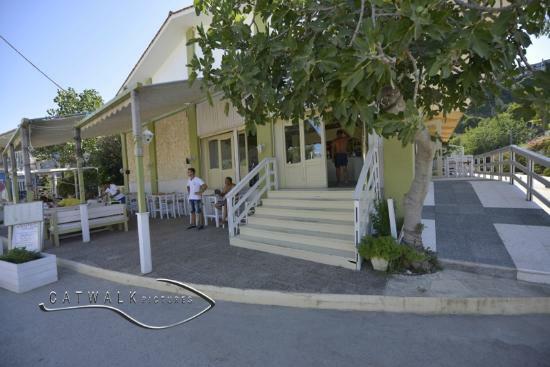 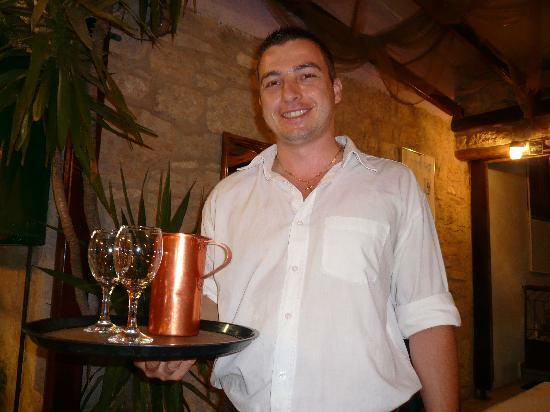 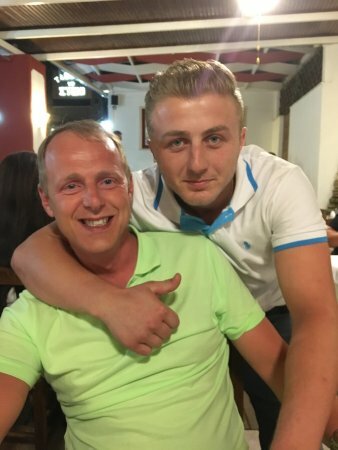 Very friendly and cheerful bar and beach staff make sure you are well looked after. 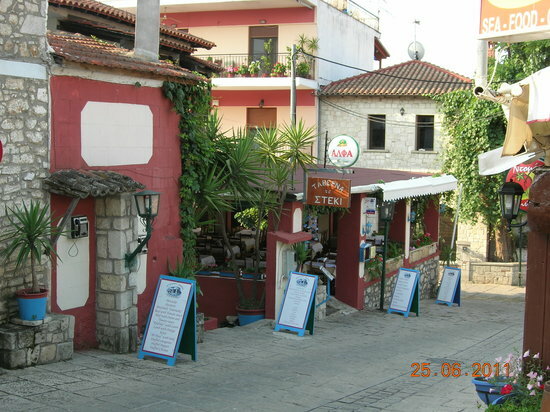 We arrived in Afitos yesterday and called here around 3pm.... hot & hungry. 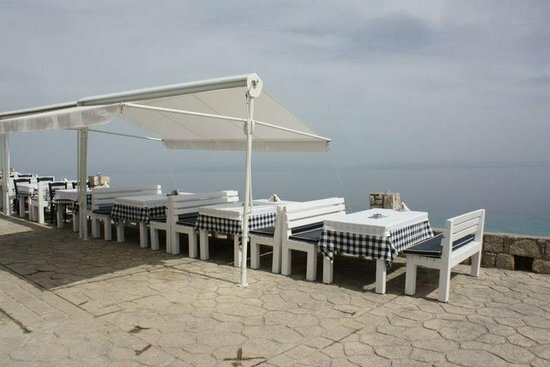 We were soon refreshed sitting in the shade marvelling at the spectacular uninterrupted sea view. 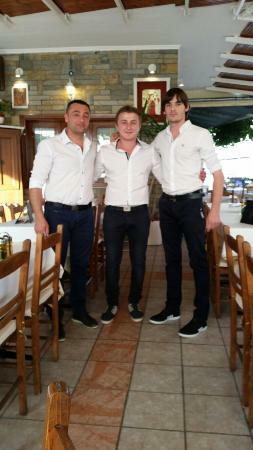 We were quickly served well by a charming friendly young waiter. 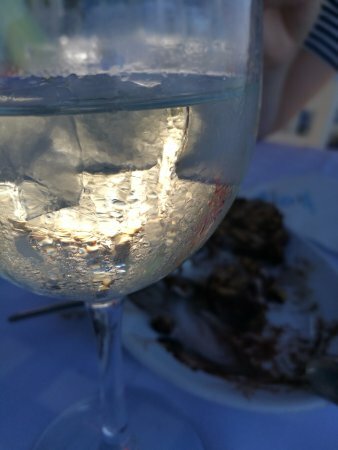 We had cold Mythos & a very good G&T. 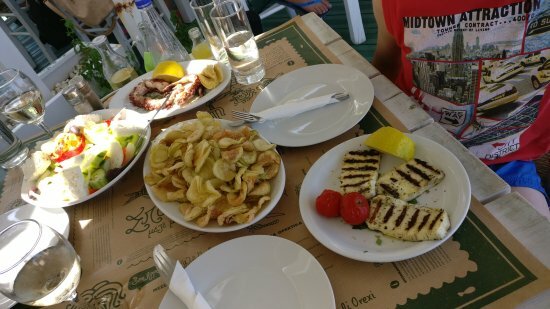 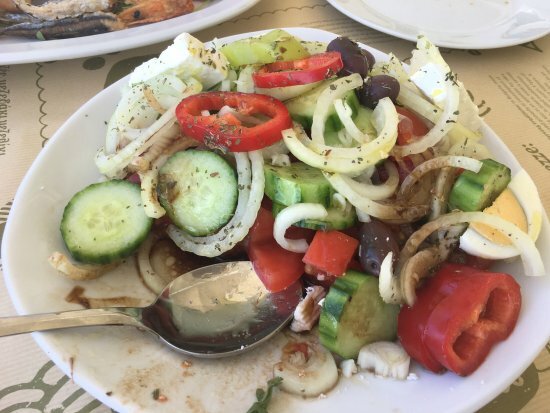 We enjoyed a huge fresh tuna salad, taramasolata, fresh squid and they were all outstanding. 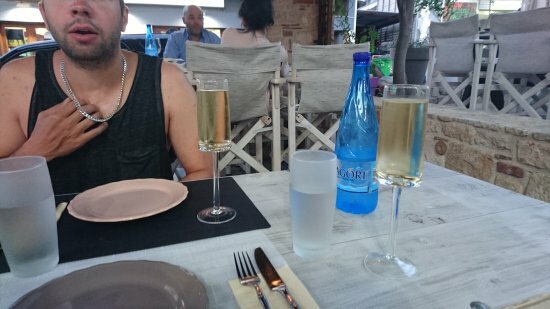 Complimentary cold melon to end with was a lovely gesture. 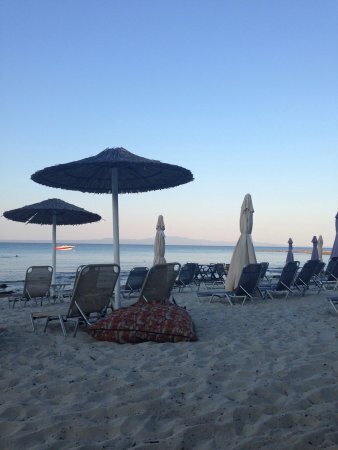 Can&apos;t wait to return & I&apos;m sure we will over the next fortnight. 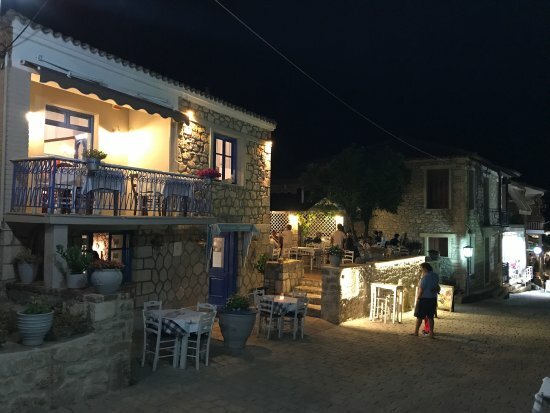 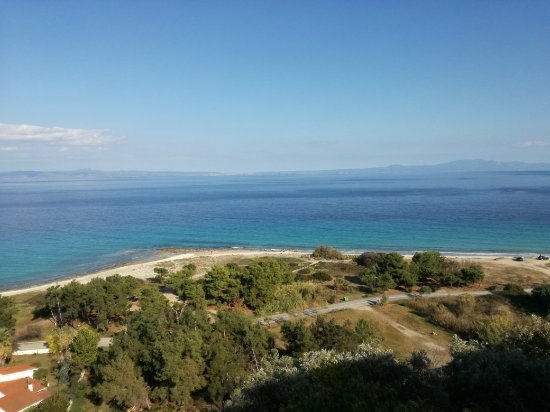 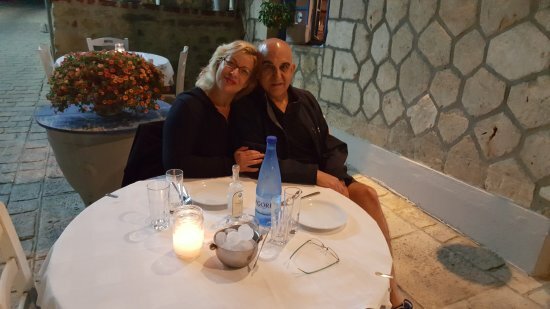 We took one day and ventured outside of the Sani Reort atmosphere, in an attempt to see the "real Greece"! 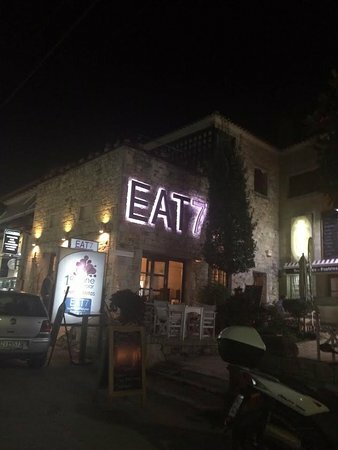 After shopping the streets of Afytos, we stopped to have a glass of wine at Eat 7. 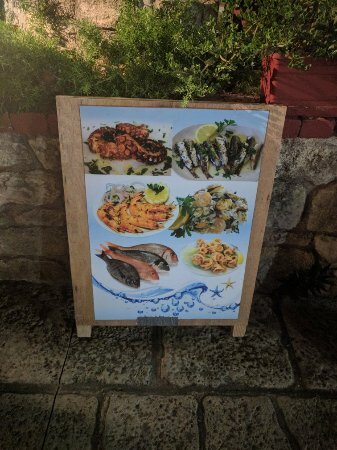 What a wonderful stop it was! 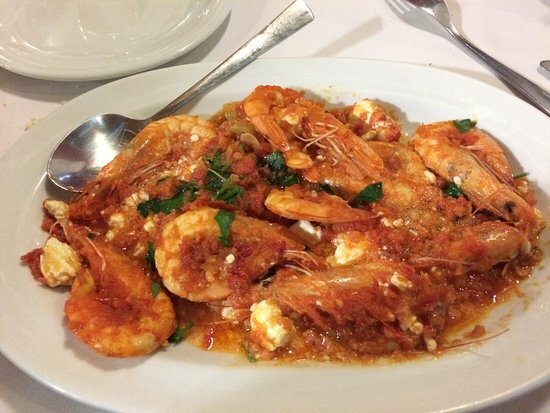 Probably our favorite of the day. 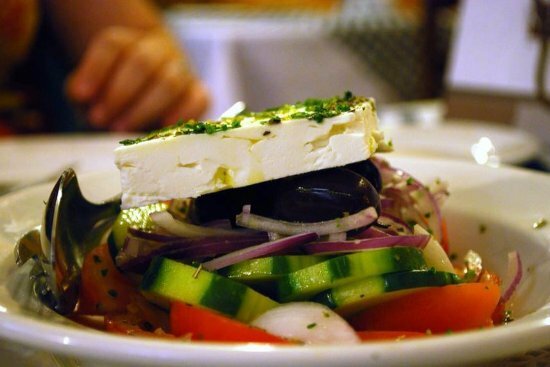 The owners were friendly, down to earth, knowledgeable about Greek life, both historically and present. 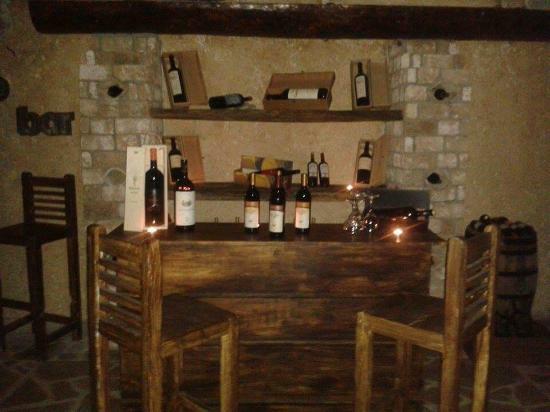 The wine cellar is very unique, with artifacts from 5 centuries B.C. 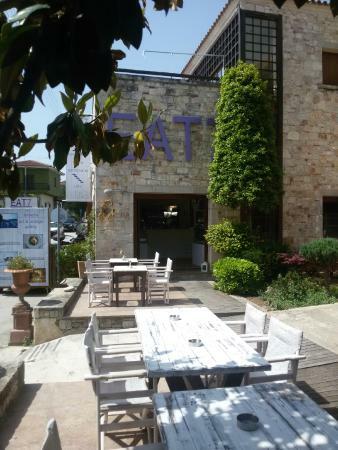 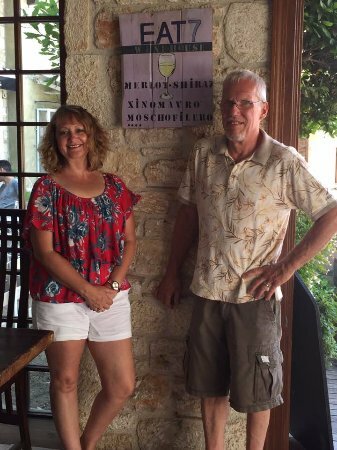 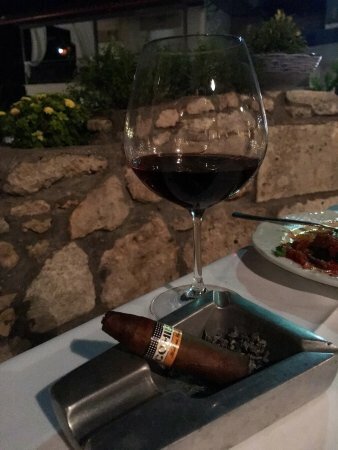 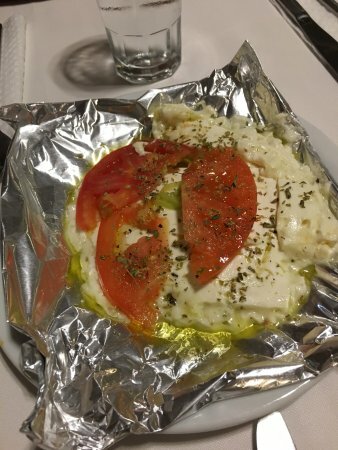 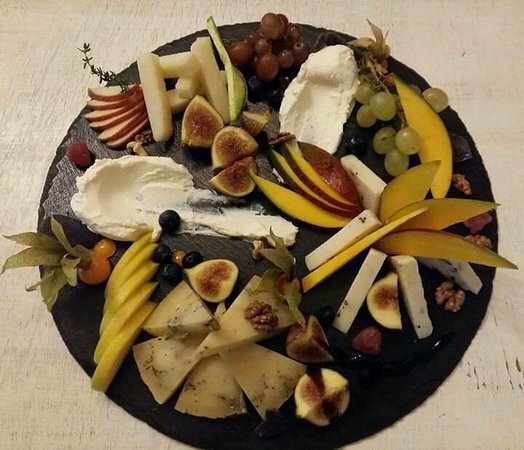 If looking for a friendly stop while in Afytos, stop in at Eat 7 for a lovely cheese platter, great wine, and service with a smile and good conversation!